A mixture of eclectic colors, an abundance of space and a twist on essentials, the perfect description for Boho chic décor. There is something about freestyle décor that seems to bring out the hippie that lives in all of us. 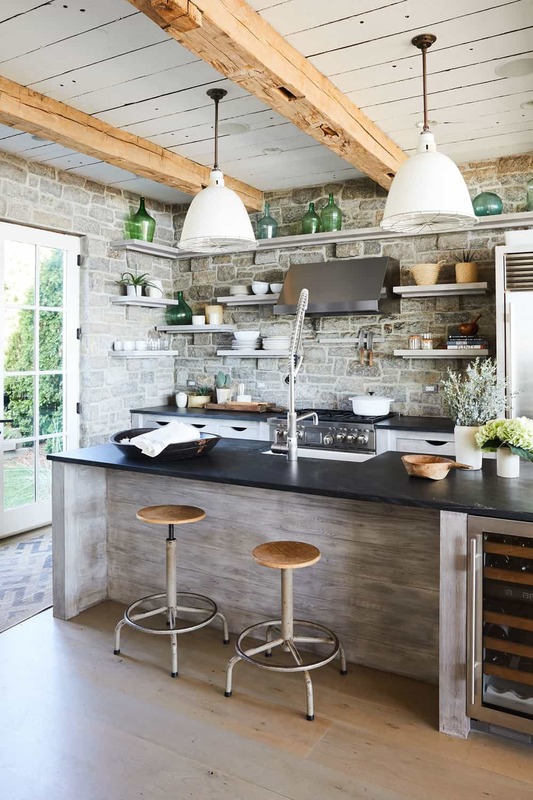 However, when it comes to Bohemian décor the last place many of us would think of to decorate is the kitchen, but we are here to change your mind one charming kitchen at a time. 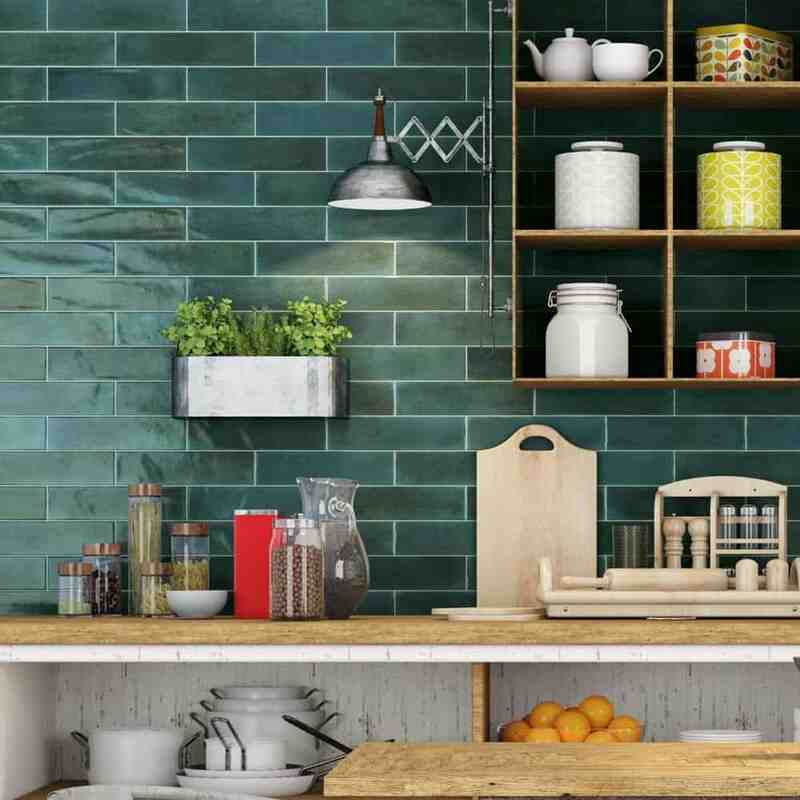 An emerald wall is the perfect additional piece to add to a kitchen when you want to add depth in a Boho chic format. 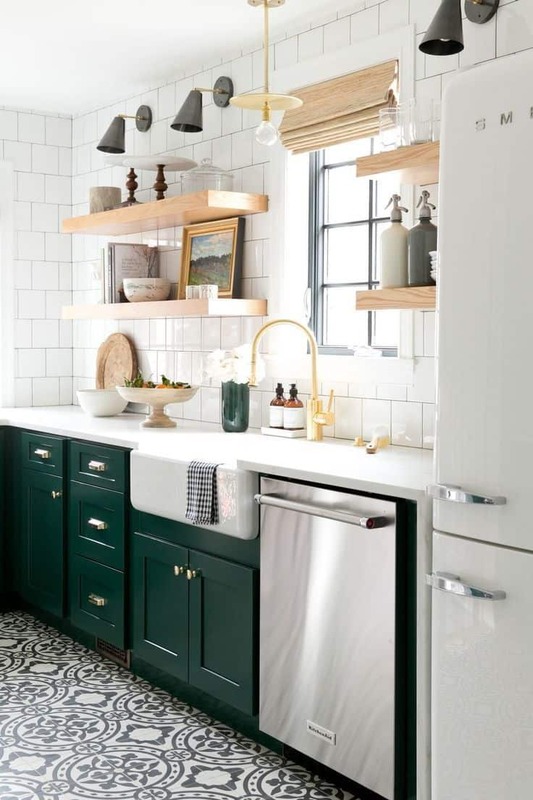 Who doesn’t love a little green in their décor? We sure do! 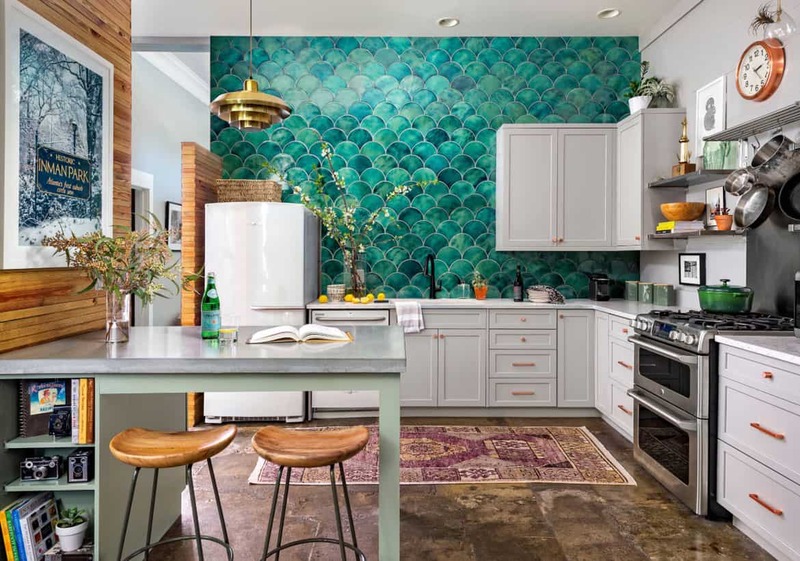 And keeping that in mind, we wanted to bring you the option of emerald tiles, there is something very unique and beautiful about them that seems to bring the room back to life. 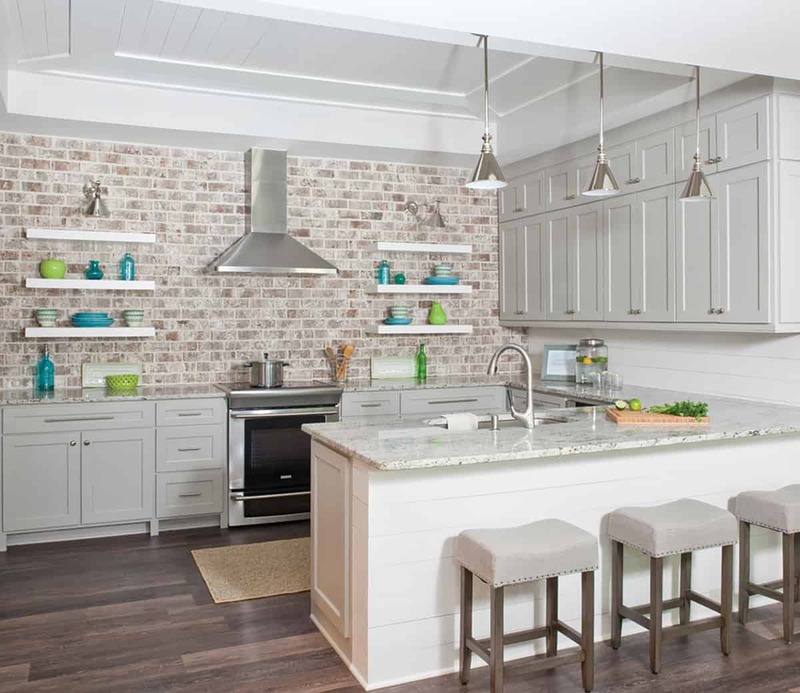 Add the tiles in one display or consider having them scattered around to bring an overall green display. 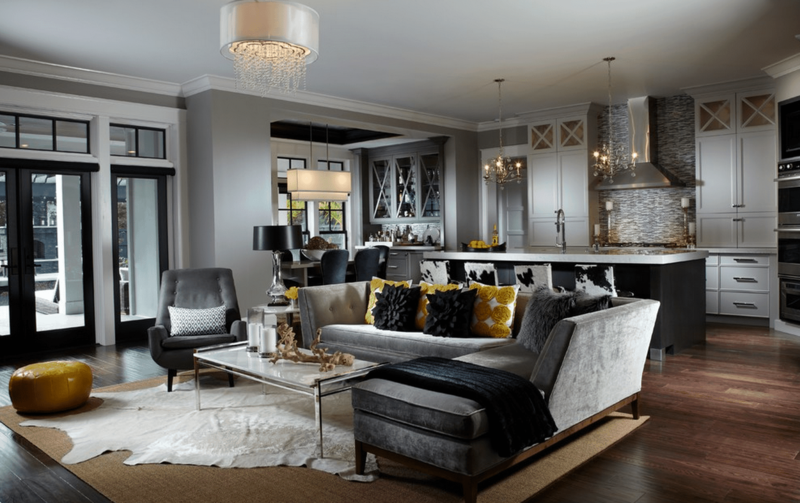 When selecting what shade of gray to choose from go for a variation of gray hues for a beautiful appeal that is contrasting and fun. 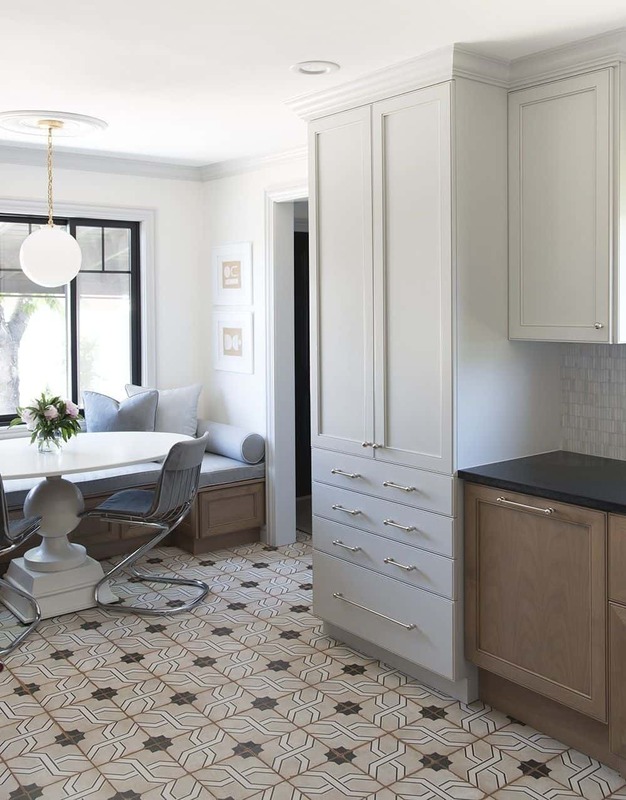 Gray is always a grand idea when you want to bring a softness to the room. It helps create this sense of airiness to the room that is undeniable. 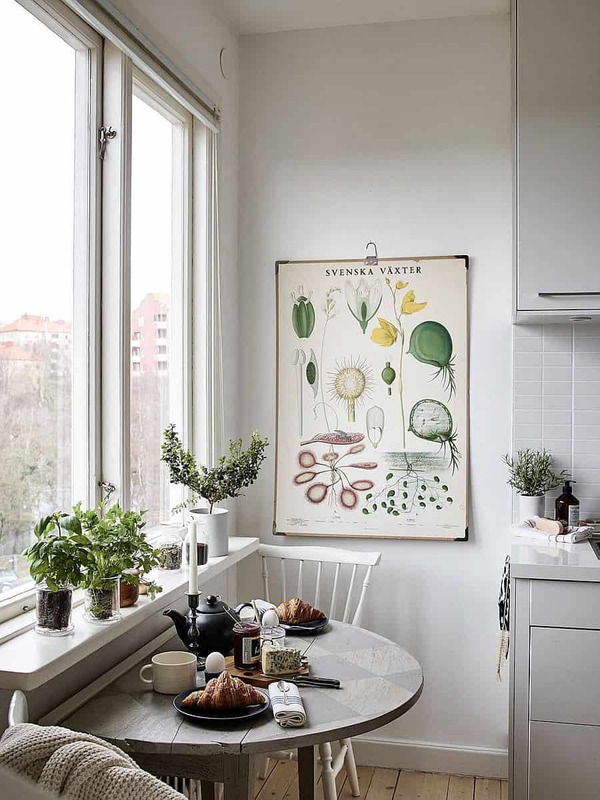 Consider having it displayed throughout the entire room to keep the space fresh and airy the entire time. 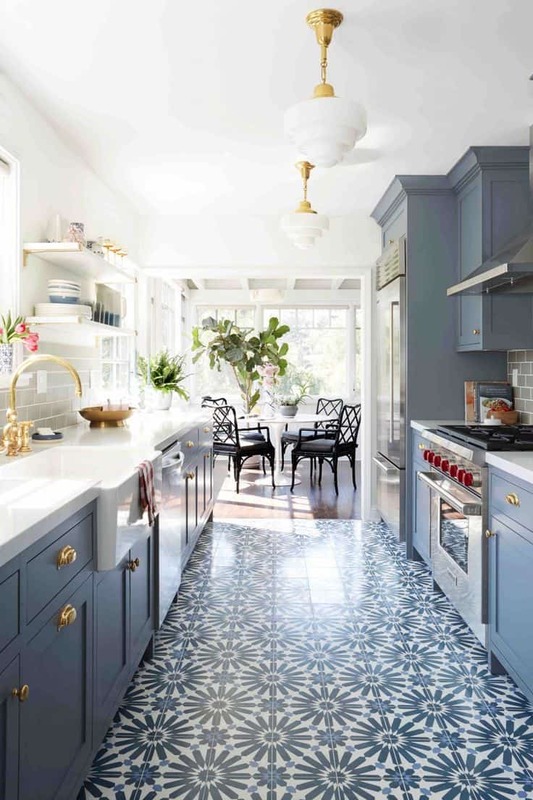 Whether you realize it or not adding two bold yet contrasting colors to your kitchen will enhance the space and give it that twist of boho we all know and love. 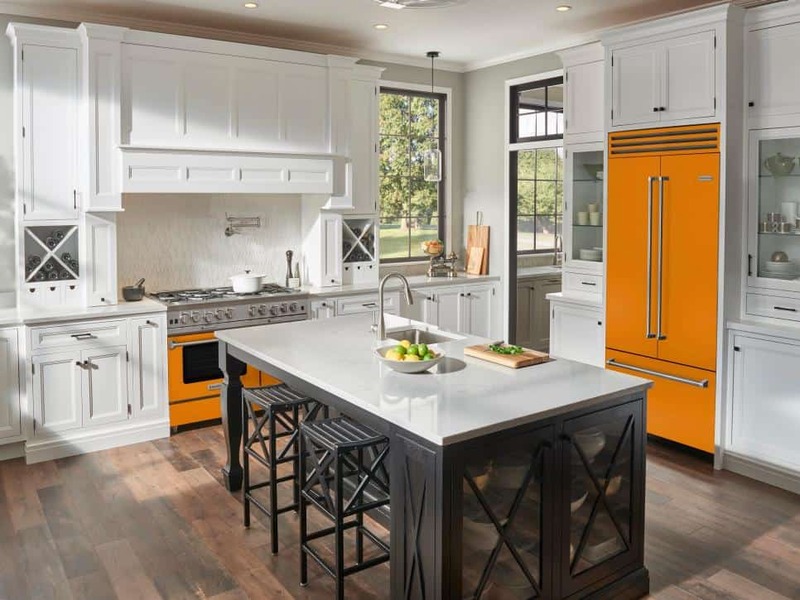 Why go completely out of your way to change up your décor when you can choose complementary colors that work well together or apart. The idea is to have two colors that work together in harmony. Choose contrasting colors so the colors can blend well. 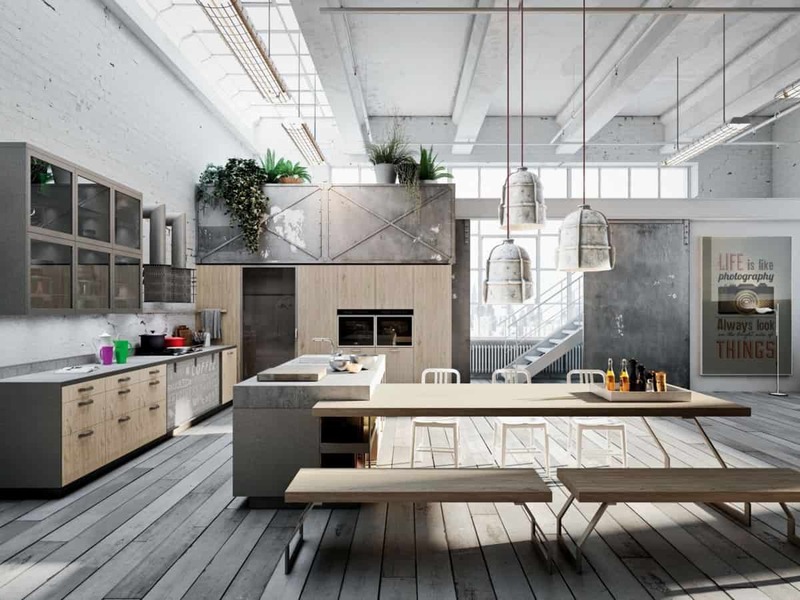 Wood tends to make a room feel warm and put together, regardless of how modern or minimal the room might be. 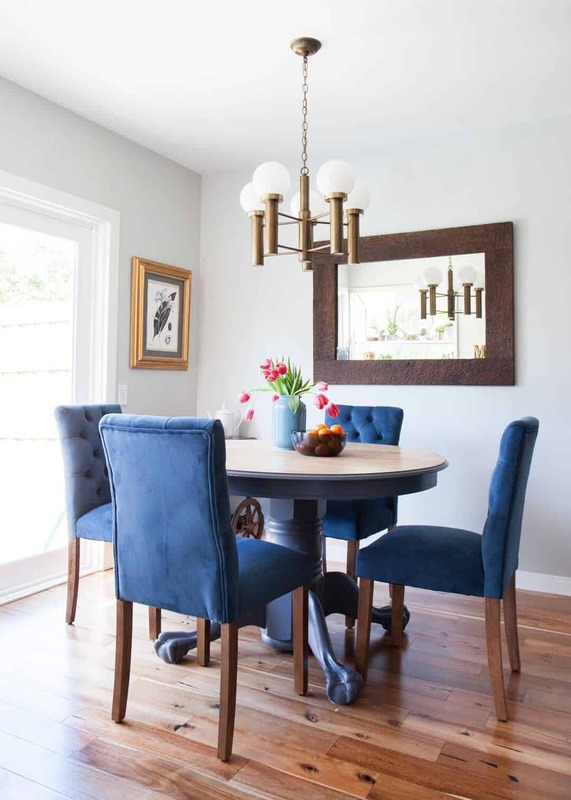 Anyone who is a lover of Bohemian décor will tell you how important wood is, there is just something about wood that makes the room feel warm and cozy. Add a wooden feel to the room and do not forget to add good lighting in order to make them feel grand and not overbearing. 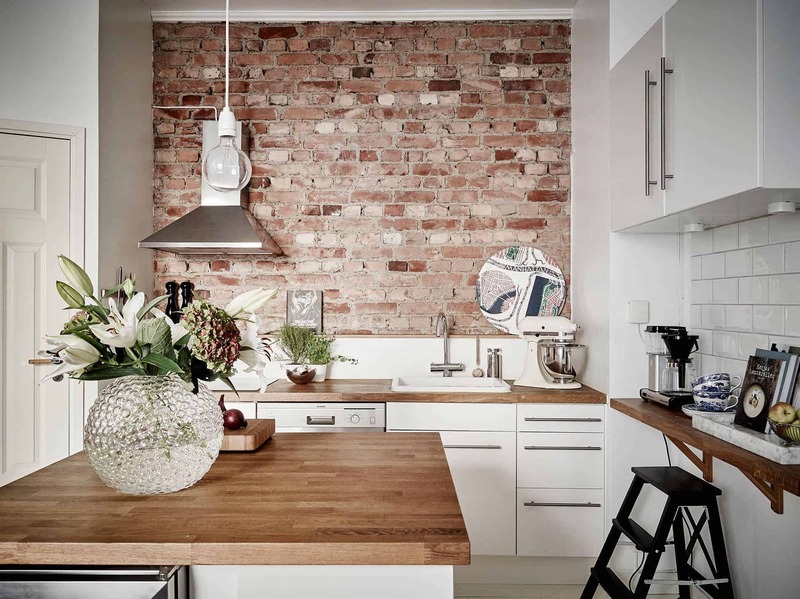 Bringing different textures allows you to add a unique twist to the room with an overall hippie vibe to it. Boho chic is all about textures, and we absolutely love it! Blend multiple textures together to bring beauty and brighten the room at once. 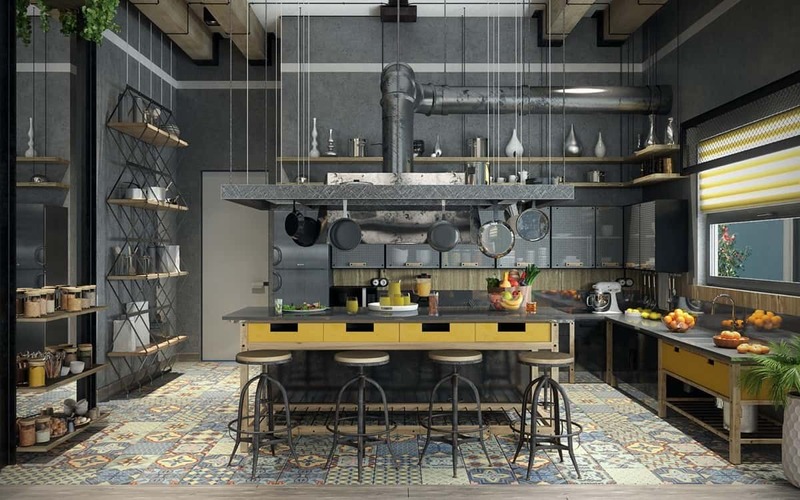 There is also the eclectic aspect of it, there’s just something new and effortless about adding those unique textures throughout the room. 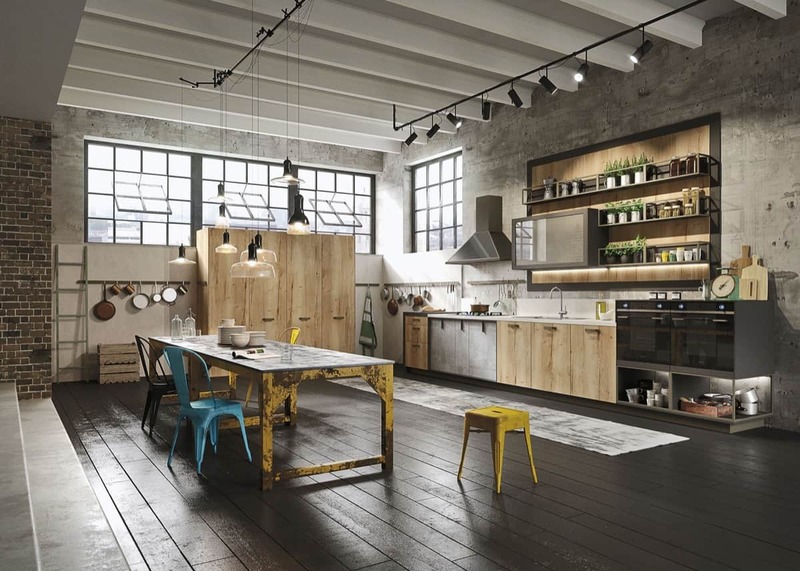 Take your open shelves a step further by adding colorful furniture that makes your decor come back to life. 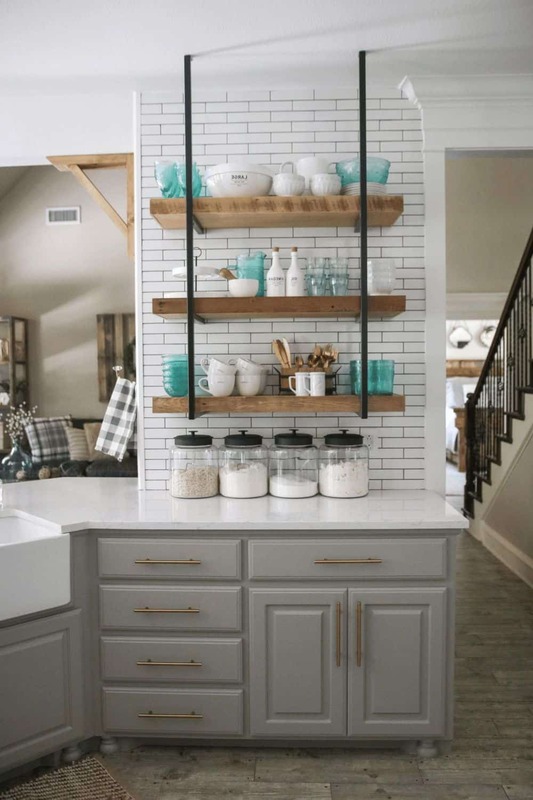 Open shelving is always a good idea, it allows you to showcase exactly what you want to showcase while hiding the rest in your cabinets. 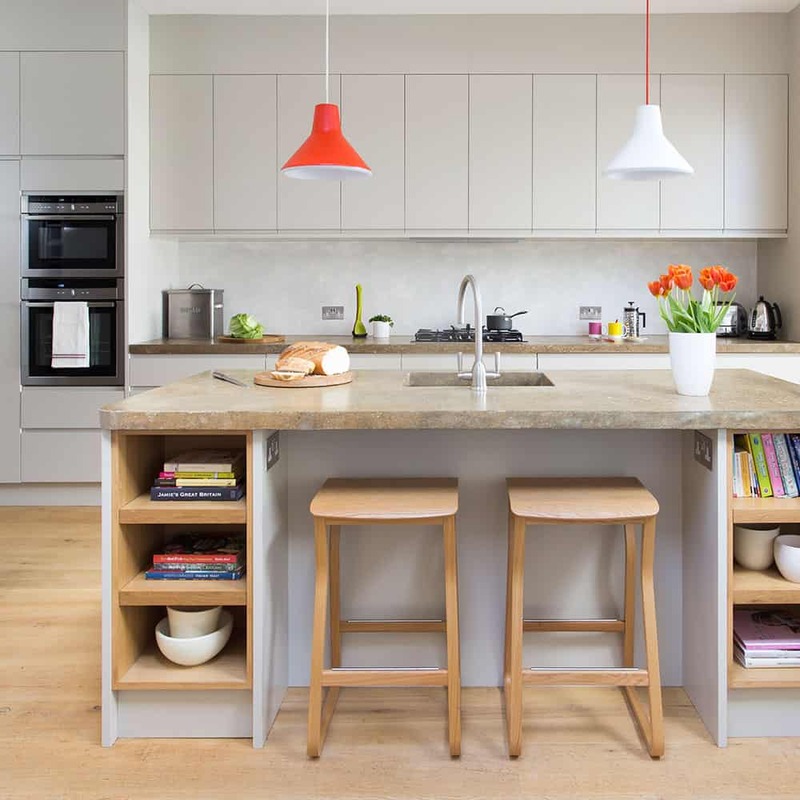 There is always the fact that open shelving works great for those that have a smaller kitchen and need the space open and airy every time. 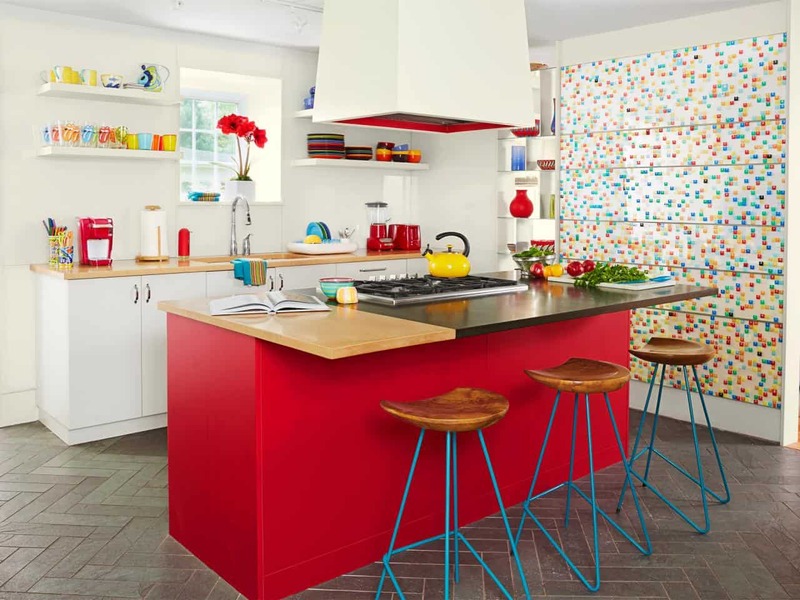 When going for a colorful display, consider as many colors as possible for a beautiful display that makes sense to the room in an overall manner. Who doesn’t love quirky colors? Color always works well in any type of room; particularly when you’re working with a bohemian touch? 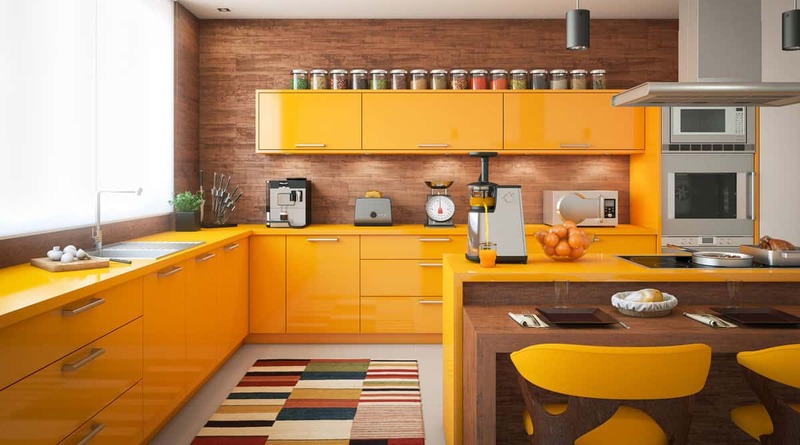 Consider colors such as yellow, orange, green, or even purple, these colors tend to make the room feel unique in its very own kind of way. 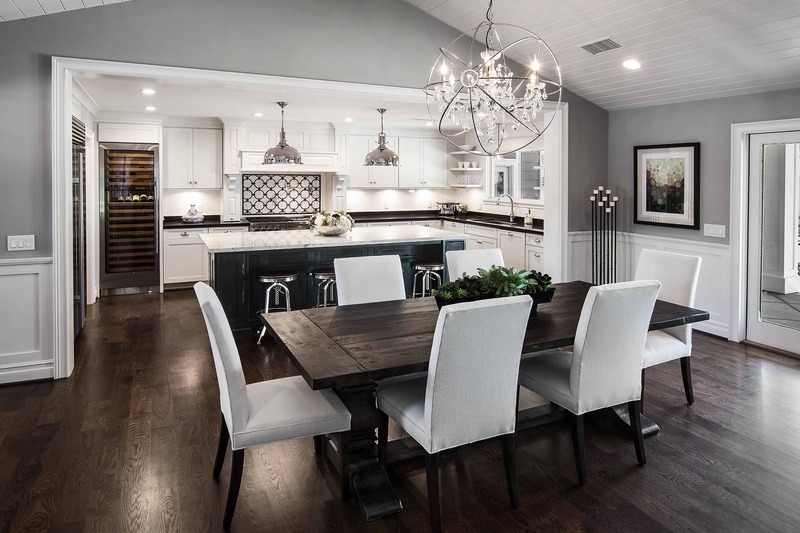 Regardless of how many light fixtures you have, vintage ones make a huge statement on their own and with numerous other ones. 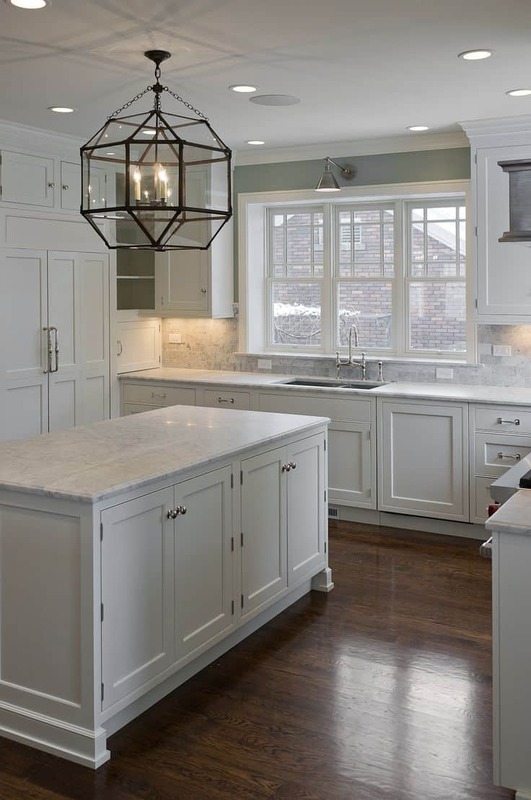 Vintage light fixtures are great when you want to bring a little twist of something new yet old. It’s the perfect blend of both worlds at once. 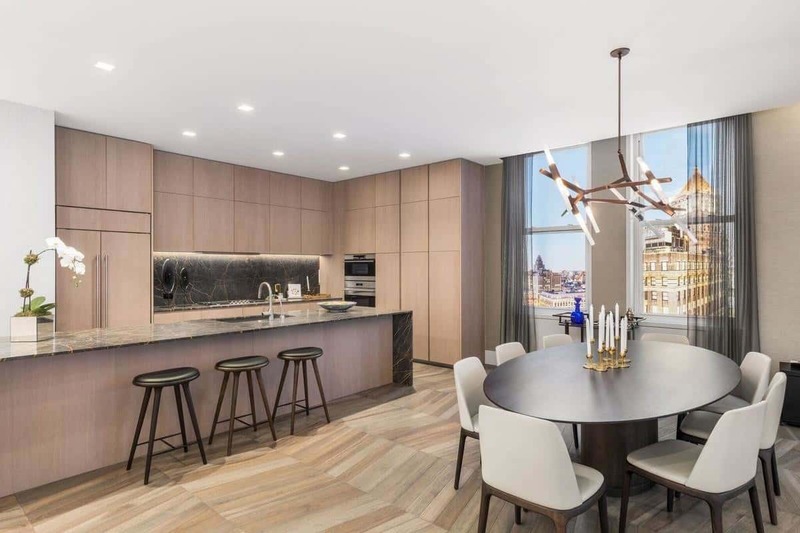 When going this direction, consider a large fixture, the larger the better, it will brighten the room while being bold and daring. 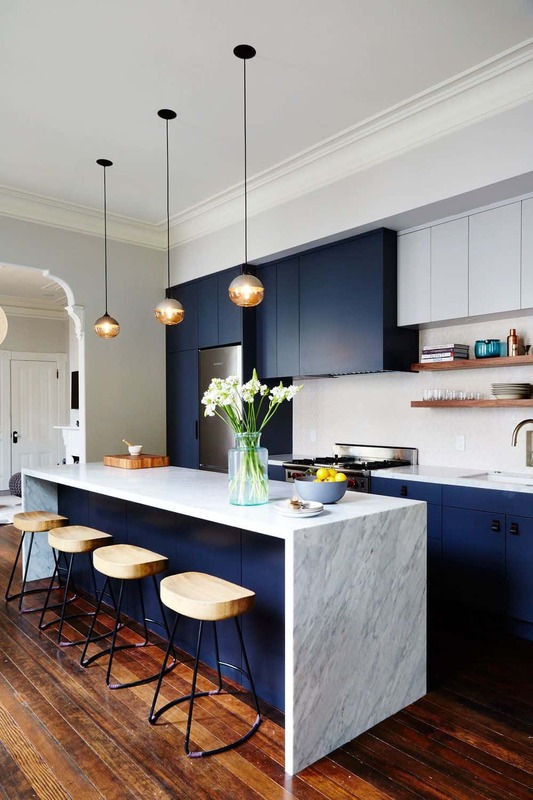 Bring in pops of blue with darker rich hues to bring it back to life. Or create a unique contrast in the space. 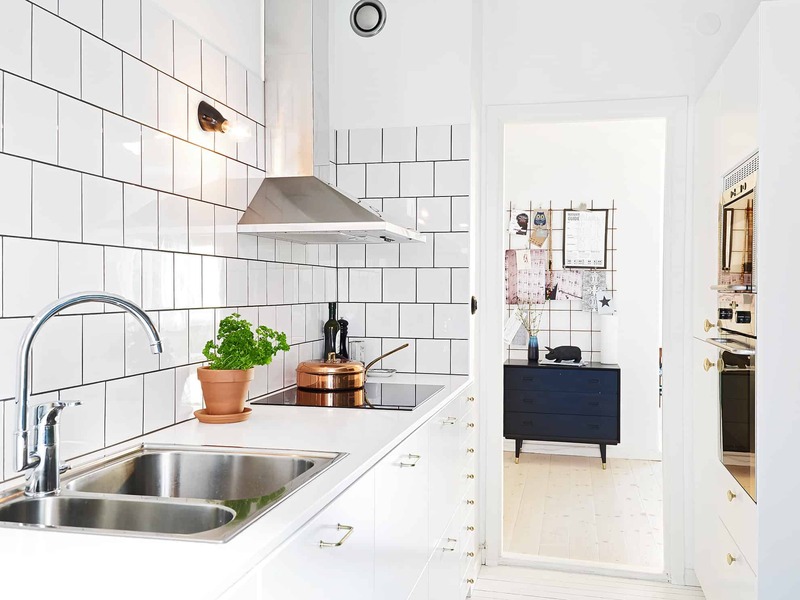 If you are an active reader, then you know we love a minimally decorated space, and we love a bohemian kitchen with minimal, yet clean décor even more. 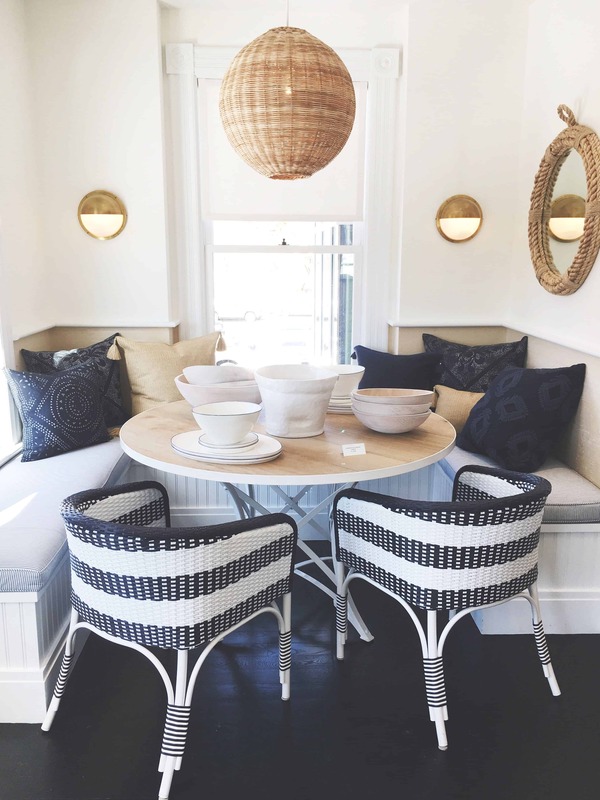 Keep the room feeling warm and cozy with a touch of minimal for that new yet eclectic vibe. 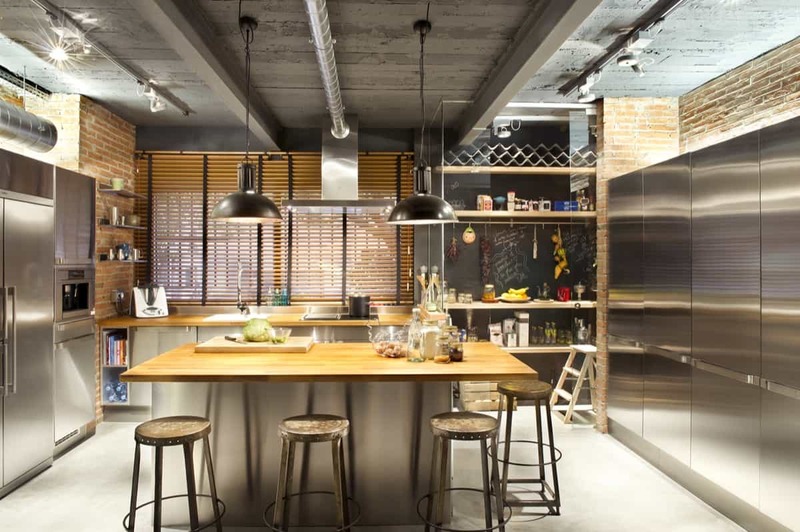 Which of these bohemian kitchen’s are you most interested in trying at home? Share with us your ideas below. 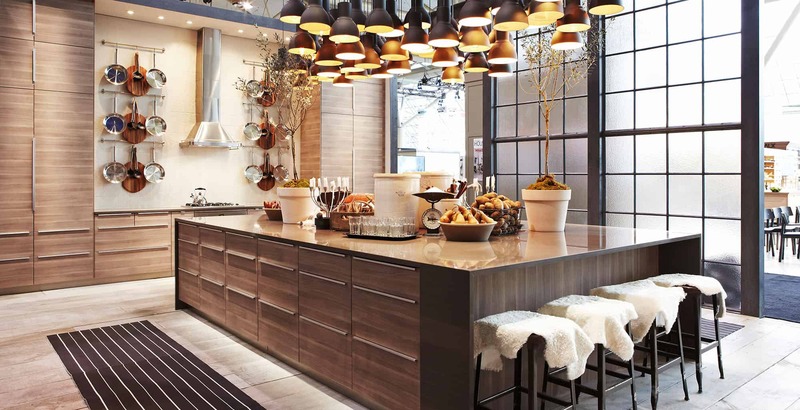 Cabinetry has always been a part of kitchen décor so much so that they have become a staple for multiple years. 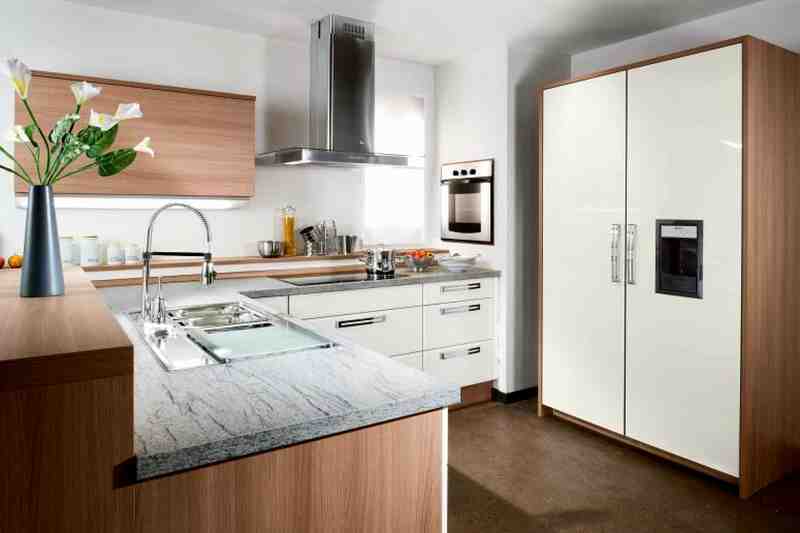 However, even the staples of a room need an upgrade once in a while, which is where modern cabinets come into play. 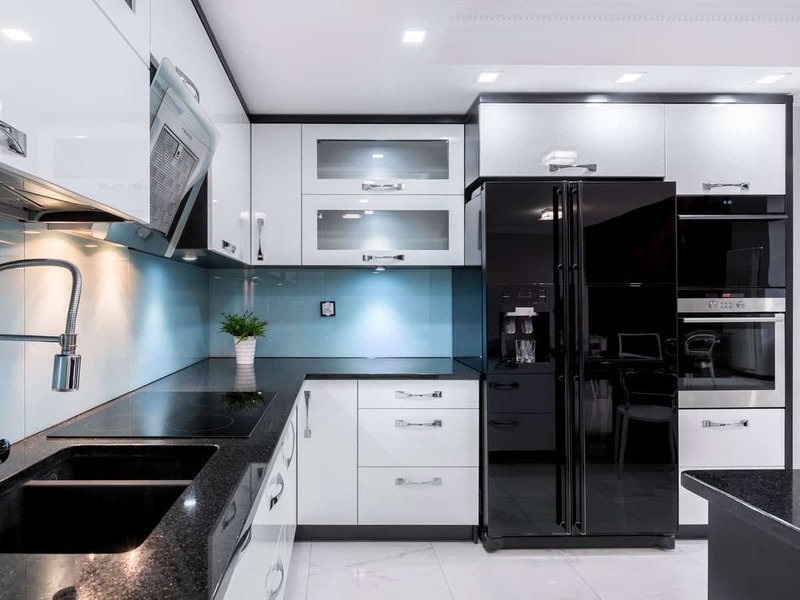 Modern cabinets are quintessential in the modern kitchens because they allow you to cover what you need and display what you want without creating a “cluttered or overbearing” appeal. 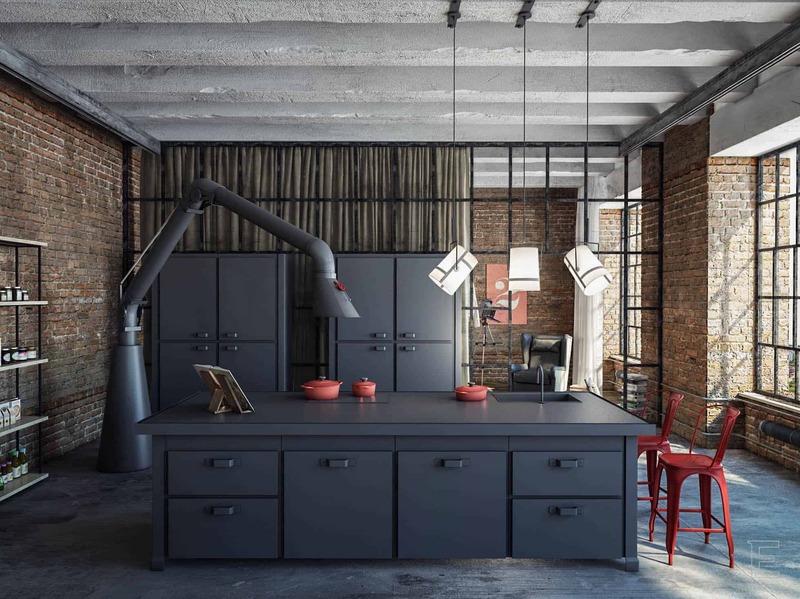 Keeping that mind these modern cabinet ideas are perfect for the minimalist that lives within us. 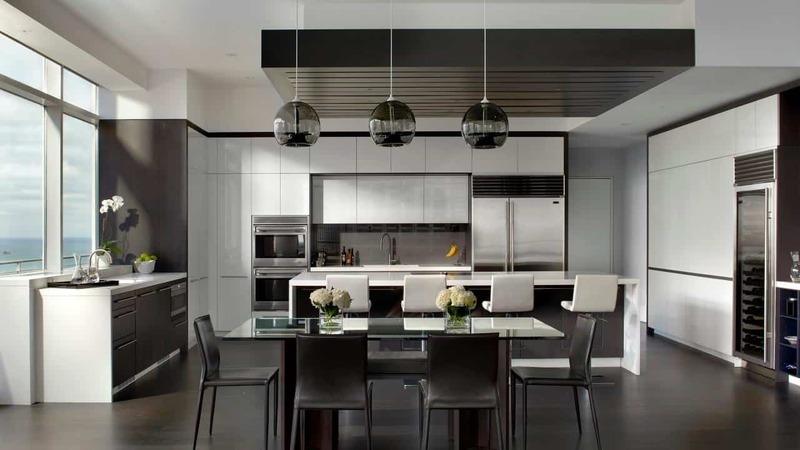 This guide will help you create a minimal approach while still having an updated feel. 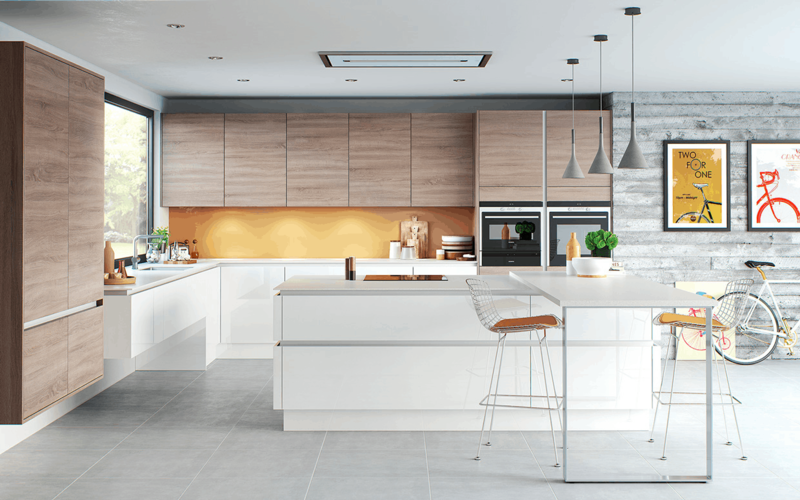 When you want your kitchen cabinets to become the main focus of the room, ensure your ceruse oak cabinets are the main focus. Ensure the rest of the room is simple and minimal. While many have yet to hear about this kind of oak, others like us are slowly falling in love with it. Cerused oak is one of the lightest forms of oak there is on the market. 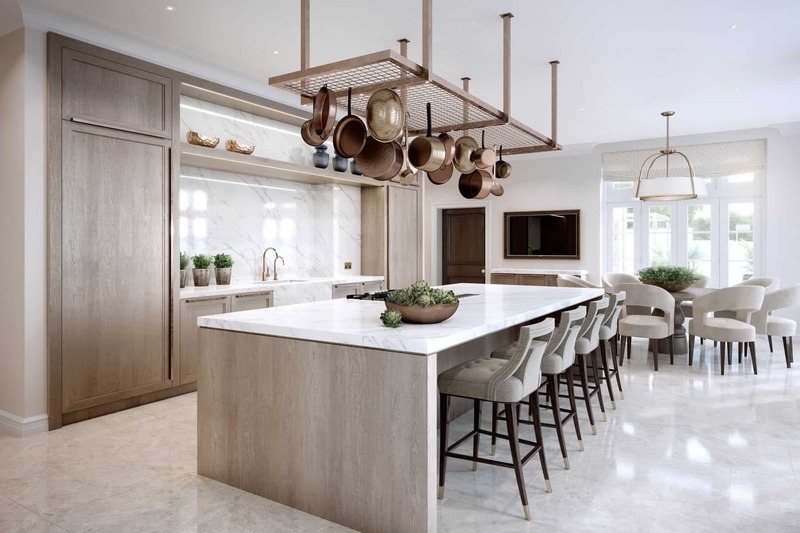 Therefore, if you are seeking to bring light to your kitchen using a cerused oak is a way to go. Particularly this oak works great for custom work as it can go paired with multiple different options. 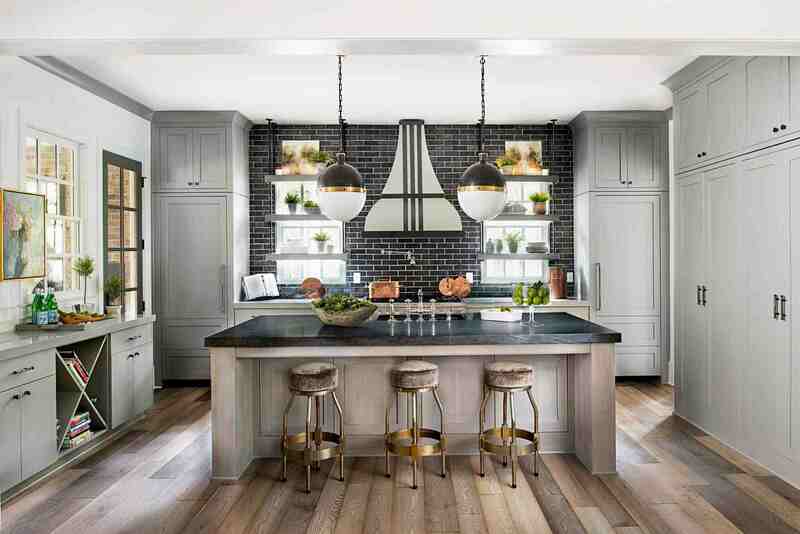 Darker wood is great for that edgy touch that makes a room feel a bit more elegant and even put together, ensure you have lighter bits for a contrasting approach that brings light to the room. 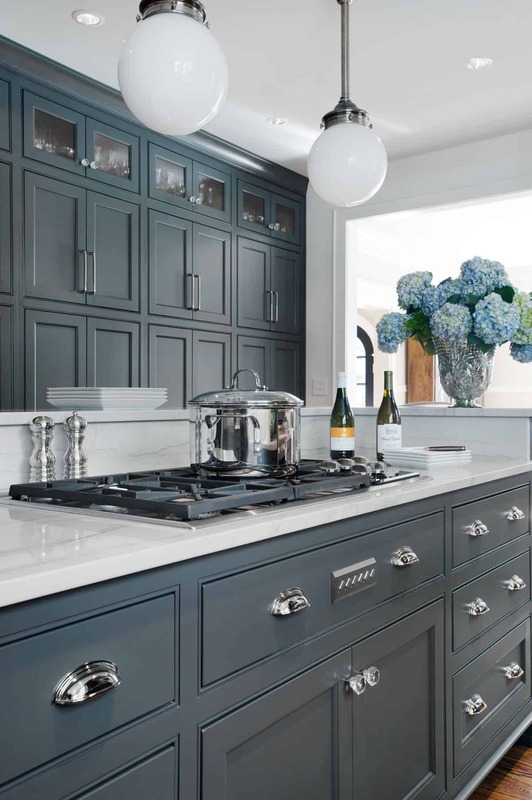 If you’re looking for an elegant approach for your kitchen, having deeper, richer hues as part of your cabinetry is a way to go. 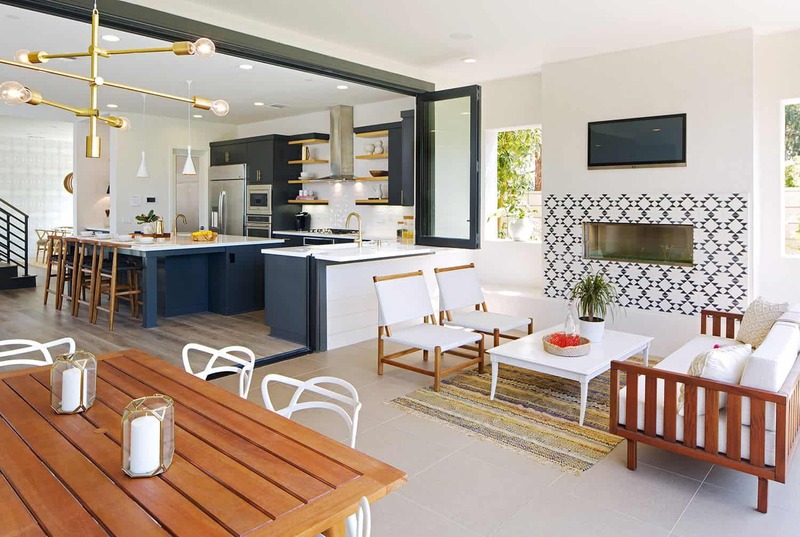 This works exceptionally well when you have an open kitchen floor plan, the openness allows you to have the perfect amount of contrast between the two displays. 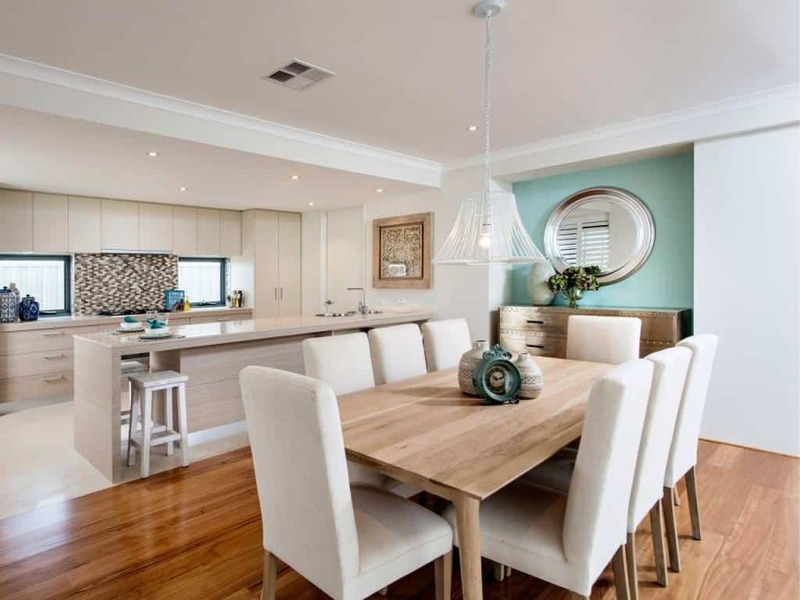 Having paneled kitchen cabinets seem to simply work exceptionally well in well-opened and ventilated kitchen areas. 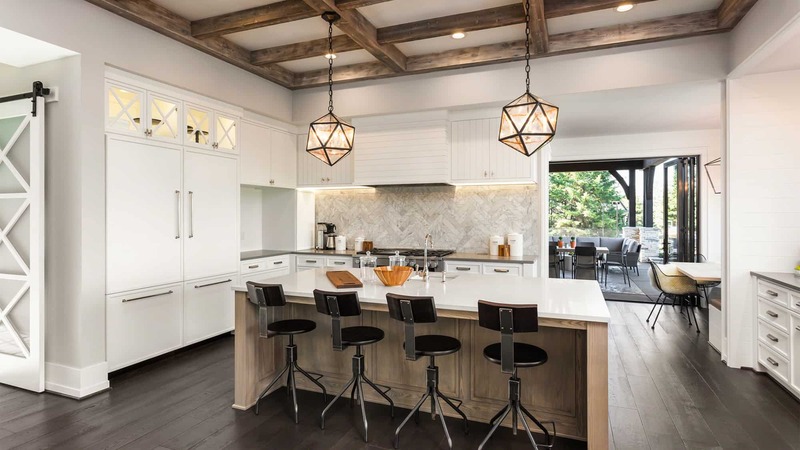 Open kitchens help the paneled cabinets appear grander. 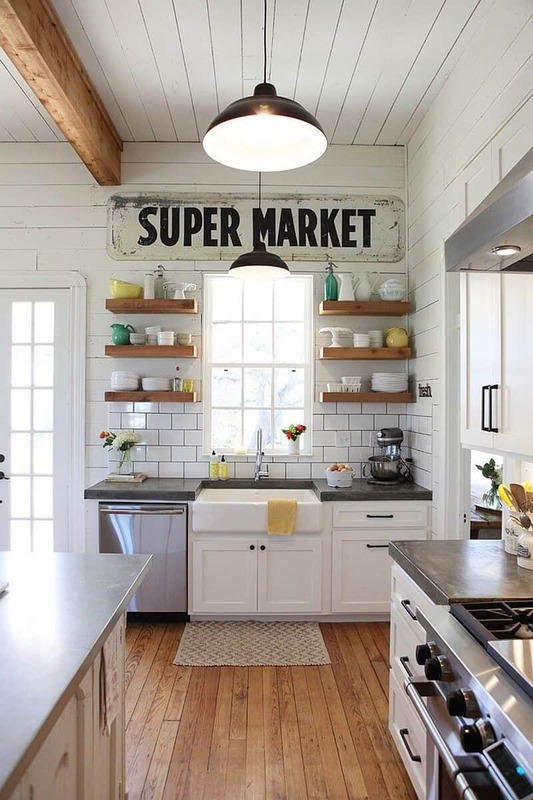 Who doesn’t love a country feel in their kitchen? 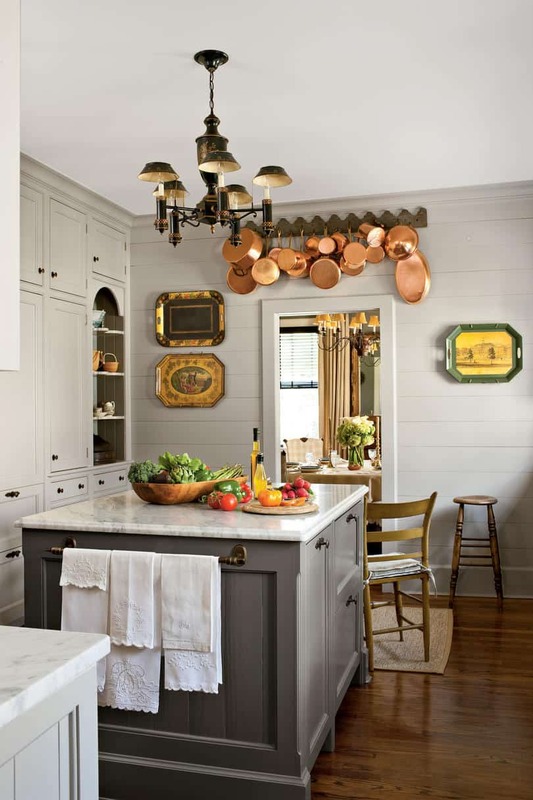 The welcoming aesthetics of a country kitchen is well-loved for many years and there’s no stopping it any time soon. 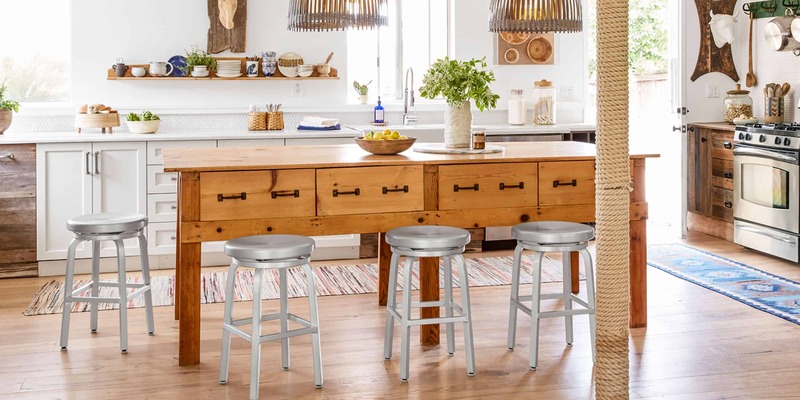 However, country décor has always been notorious for having multiple different components, which is why many will argue that it is quite difficult to create a minimalist approach. 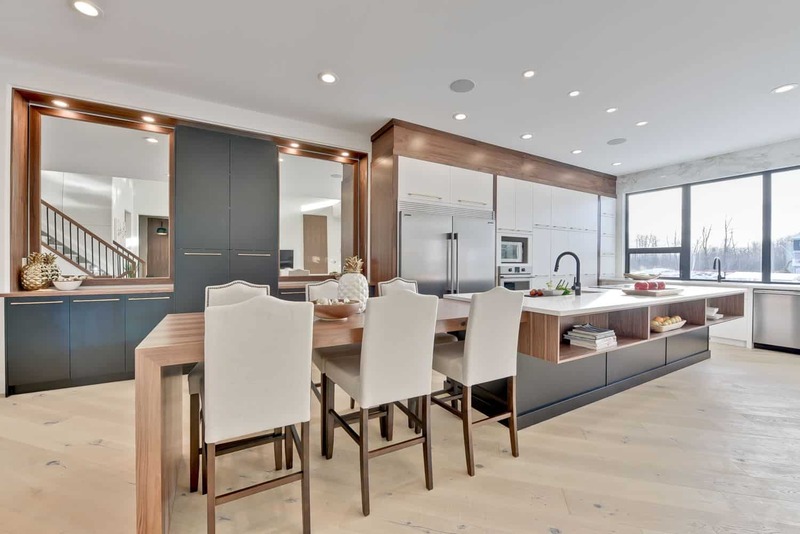 In spite of this, for a minimalist appeal go for a paneled cabinetry approach. 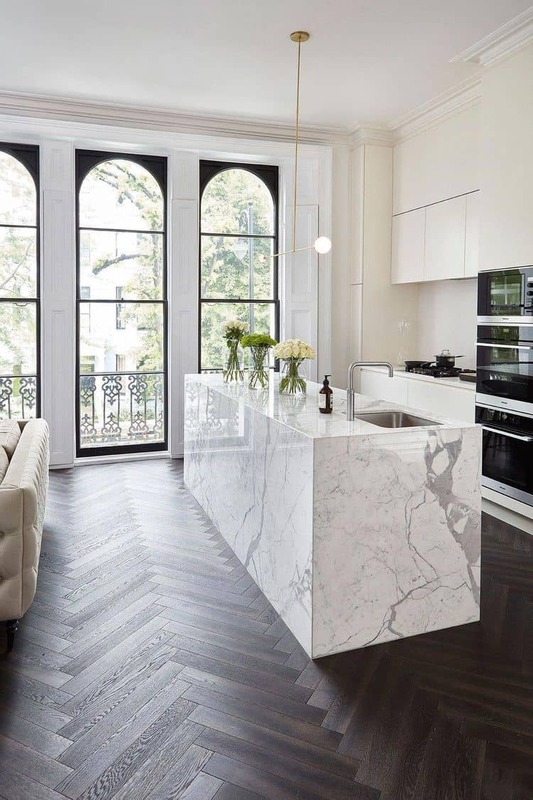 Having your black cabinets paired with a marble kitchen island helps expand the feel and aesthetics of the kitchen. Add fresh elements such as flowers or even fruits to bring color that can be customized to your liking. 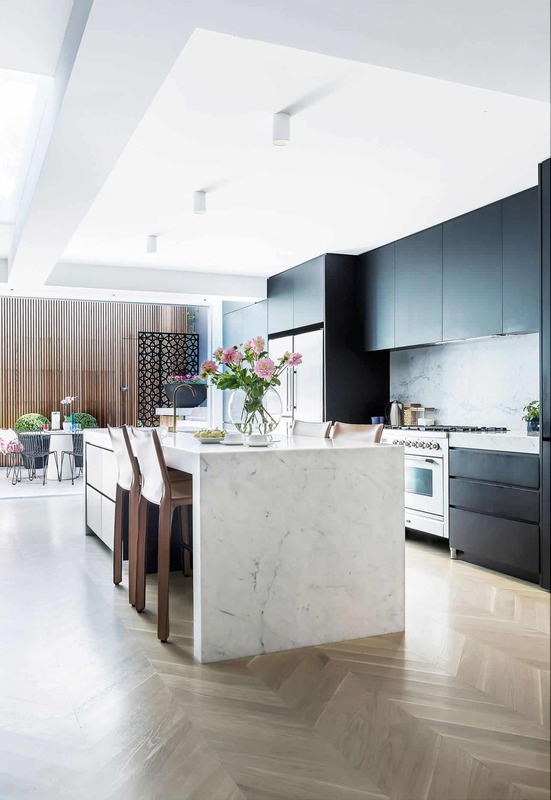 Black is always a great idea in a kitchen that needs an elegant yet edgy approach; however, it becomes that much more minimal and grander when it is paired with a marble island. 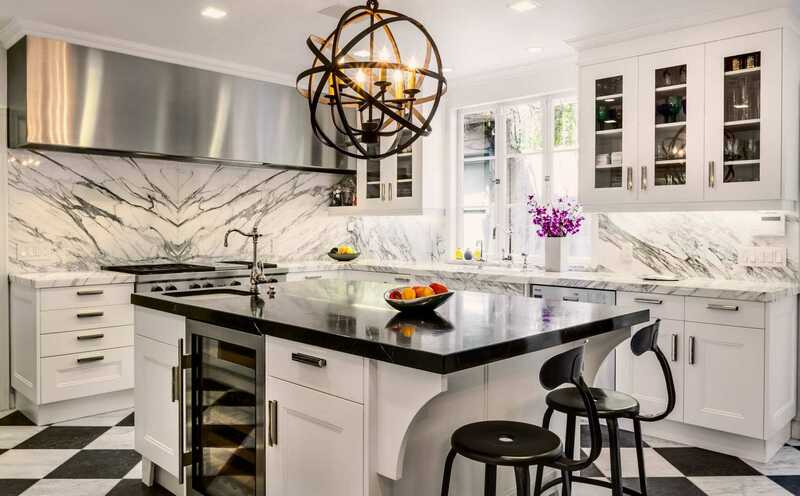 Keep your black cabinets chic and sleek and have your island speak for itself. 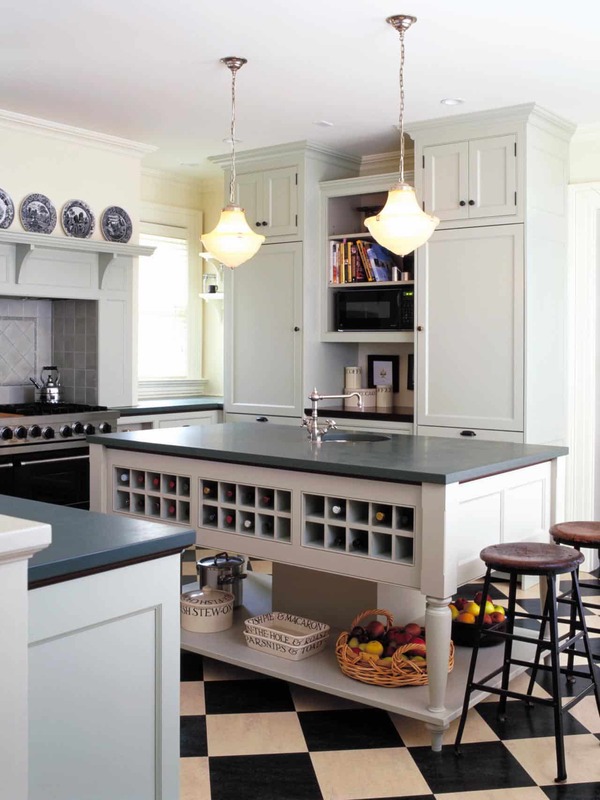 If you’re not too sure about open cabinets mix and match them with traditional cabinets. 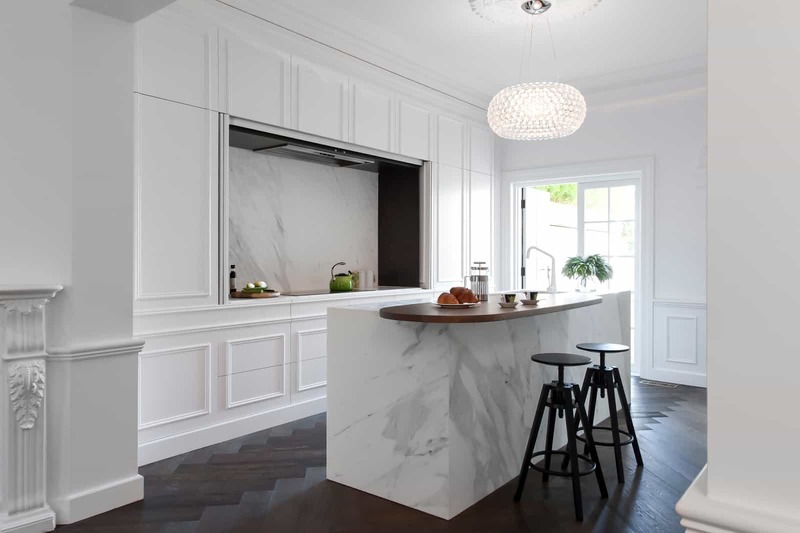 Doing so breaks down the appeal of open cabinets while having a traditional touch. 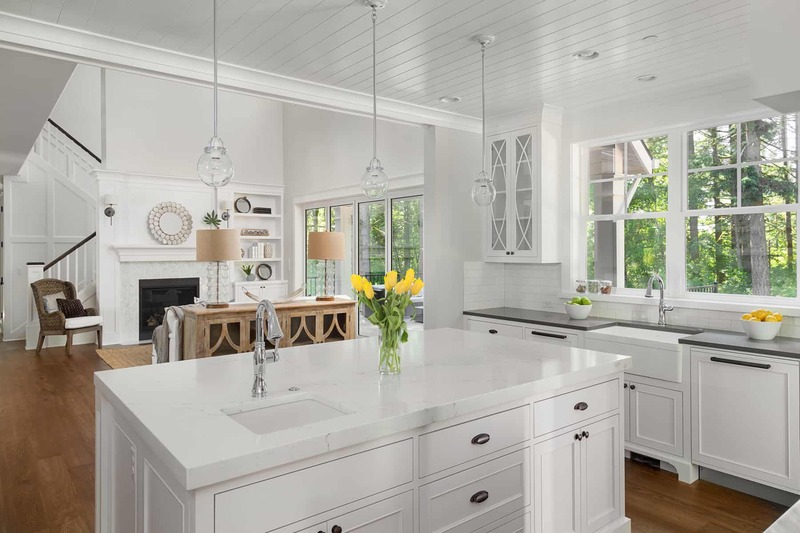 Yes, we know open cabinetry can be intimidating, in fact, we wrote a guide to help you along the way, that is how much we love and appreciate the way open cabinetry can make a room feel. 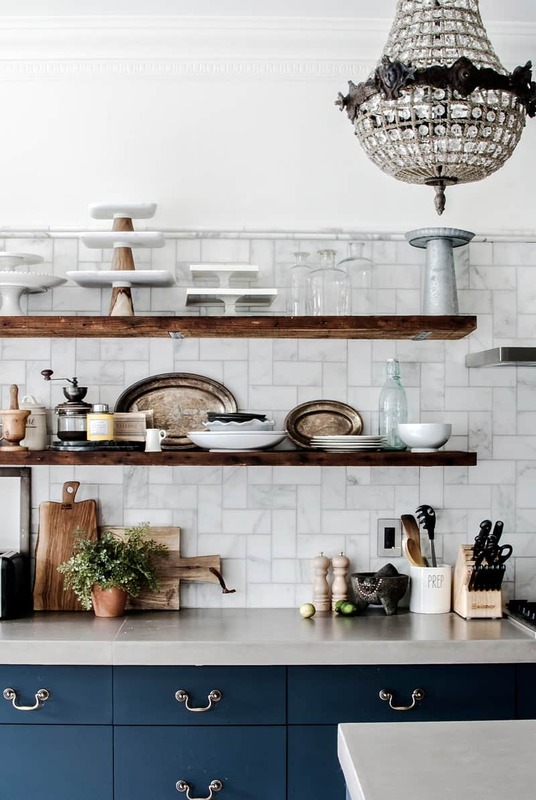 Have a display of your favorite dishes to expand the size of the room without taking away from it. 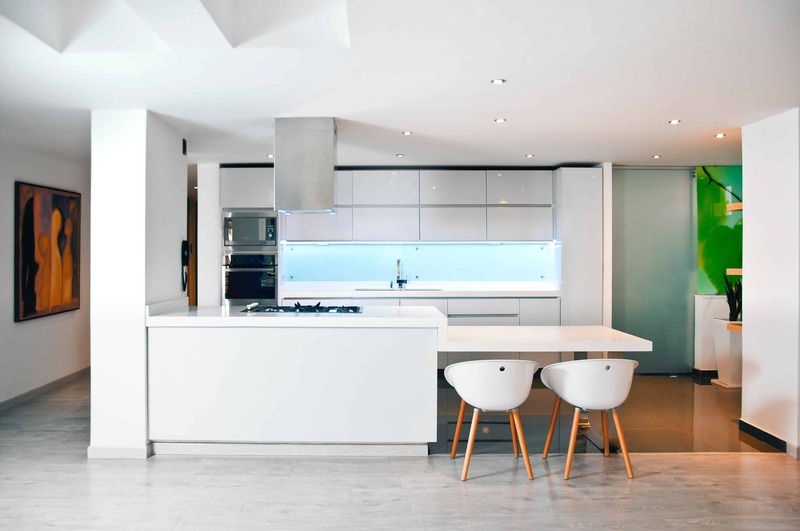 All-white cabinets is always a good idea but adding a lacquered touch upgrades them even more, the main reason for this is they provide an extra hint of modern. 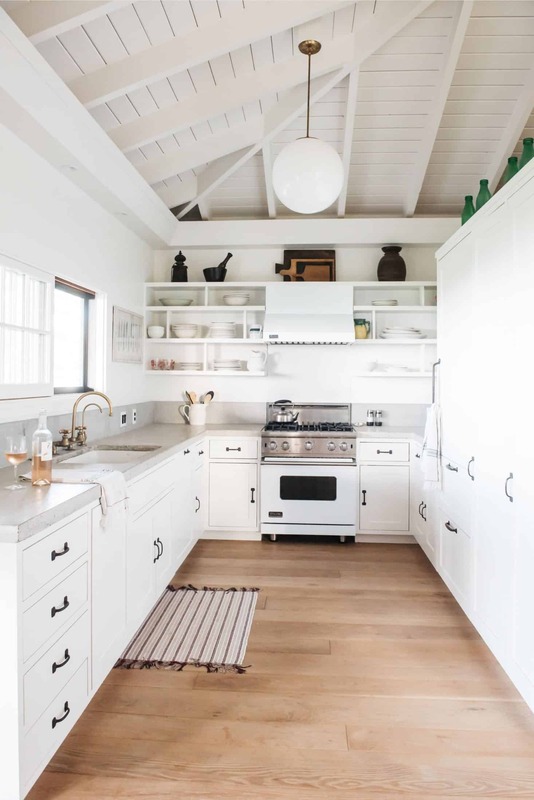 Whether you seek to achieve an all-white approach, or you simply want to add a lacquered touch to your kitchen, having lacquered white cabinets is one of the best ways to work on expanding the room while allowing you to have a unique touch in the space. Contemporary means multiple different things, which is why we love the boldness of having a vibrant touch that is modern and daring. 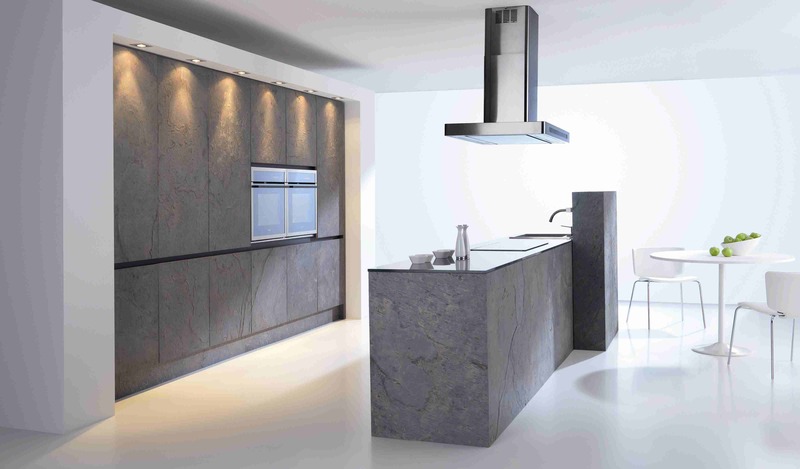 The contemporary approach is always a good idea regardless of the style of kitchen you have. 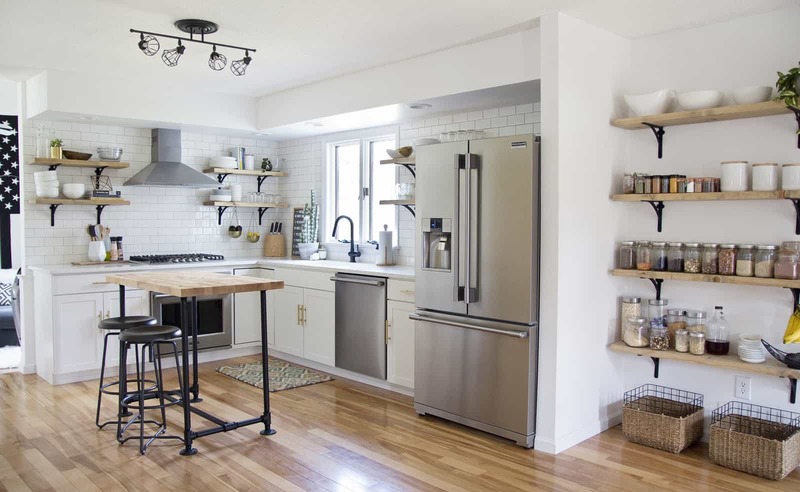 The idea is to have cabinets that are completely different from what you’re used to having. 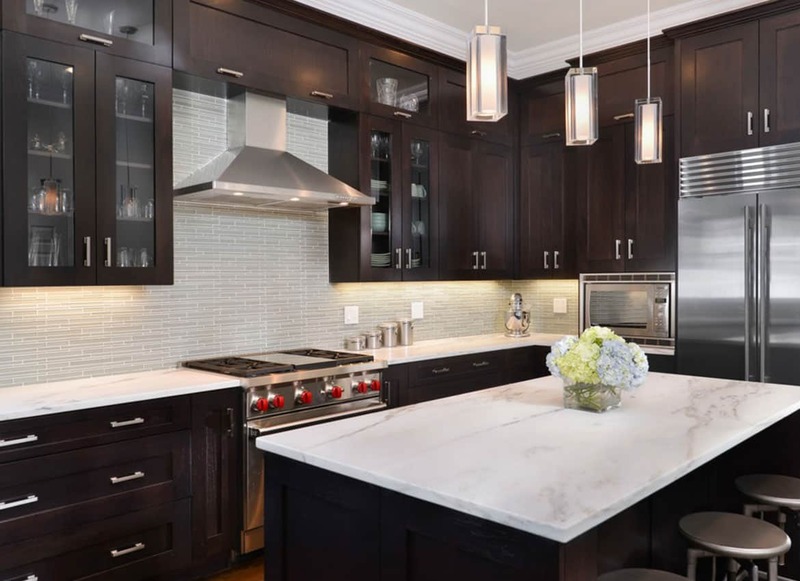 Consider different size cabinets or even two different styles of cabinets in the same room. When you’re working with a bold hue ensure you use it throughout the entire room for a cohesive look that makes the spaces brighten up and come to life. 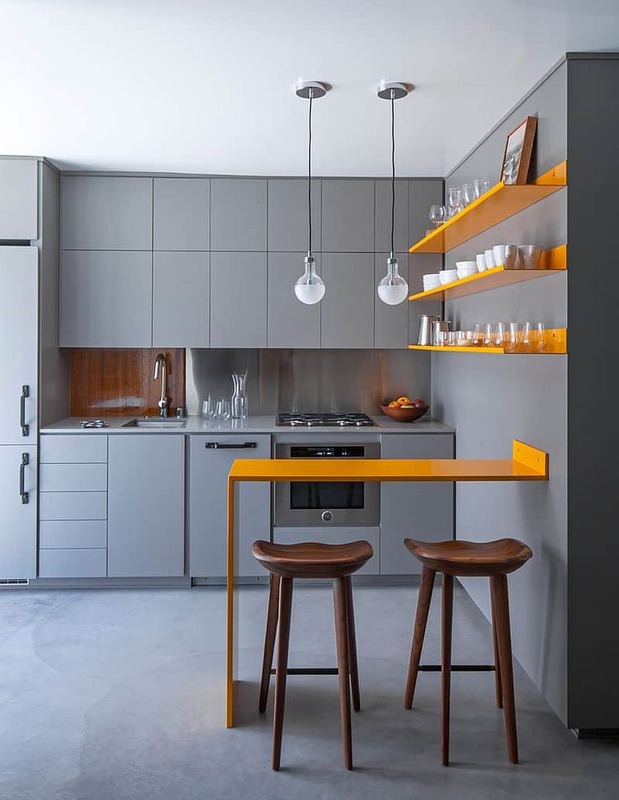 Even the most minimalist can appreciate a bold cabinetry display. Going boldly entitles you to use rich, vibrant colors and embracing the size of the room. 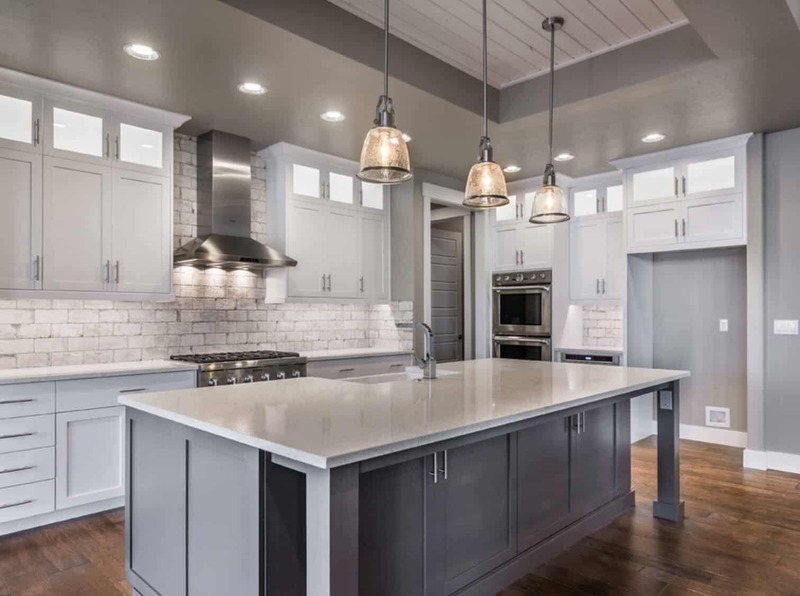 Consider having a contrasting color palette to create the perfect put together appeal without taking away from how your kitchen is displayed. 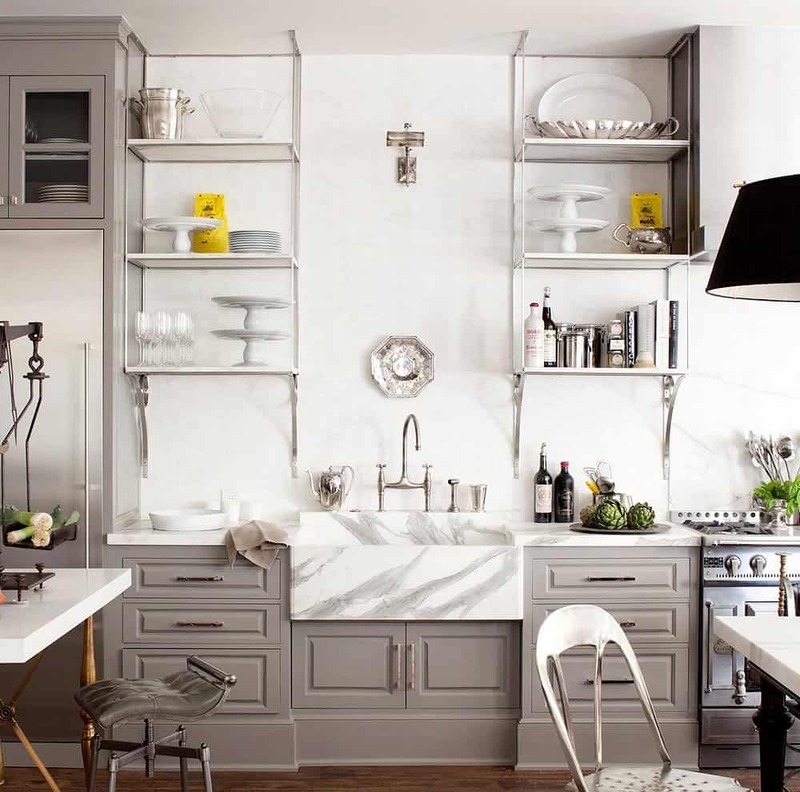 Match your grey cabinets with your island for the ultimate cohesive touch that makes the room look larger. Grey became quite popular last year and there is no sign of it leaving us any time soon. 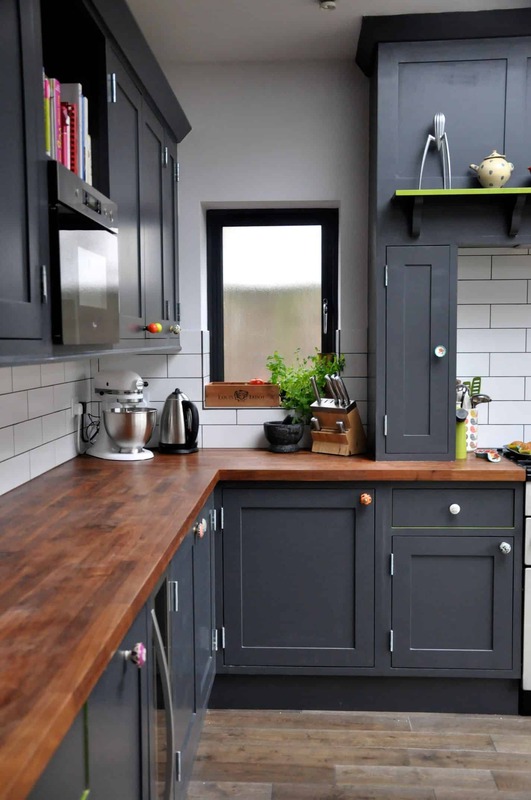 Keeping that in mind, grey is becoming a top contender for the kitchen but with a twist of a matte. 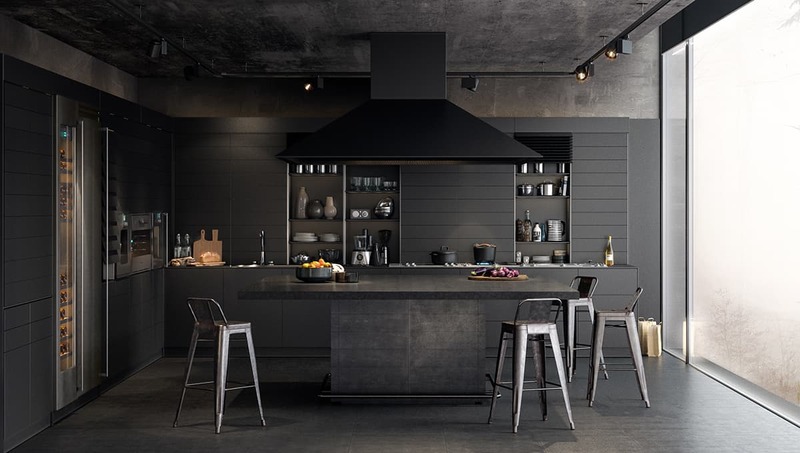 Matte grey works perfectly for those that want a masculine approach to their kitchen with a hint of modern. 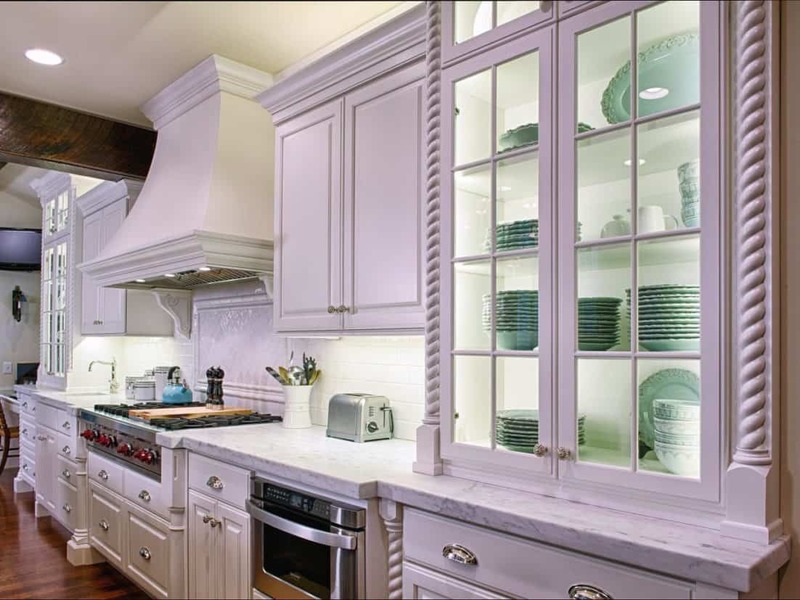 Consider pairing your glass door cabinets with traditional fully covered cabinets for the perfect contrast between the two, that allows you to hide what you need hidden and when. 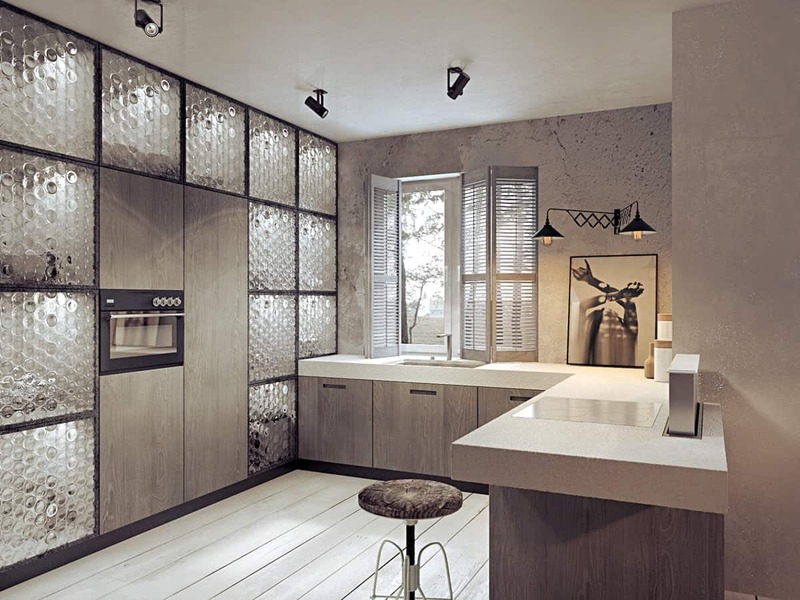 Why keep all of your expensive dishes hidden away from your guests, when you can have them easily on display with glass front doors. Having glass doors allow you to showcase only the ones you want but with a shield that keeps them from prying hands. Additionally, it’s a great form of having a bit of a clear protective layer. 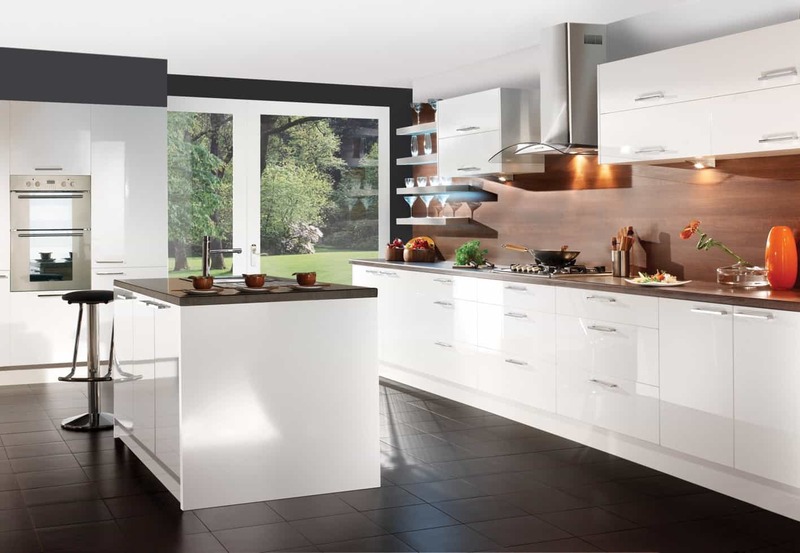 Make sure to keep your glass cabinets as crystal clear as possible for the best outcome. 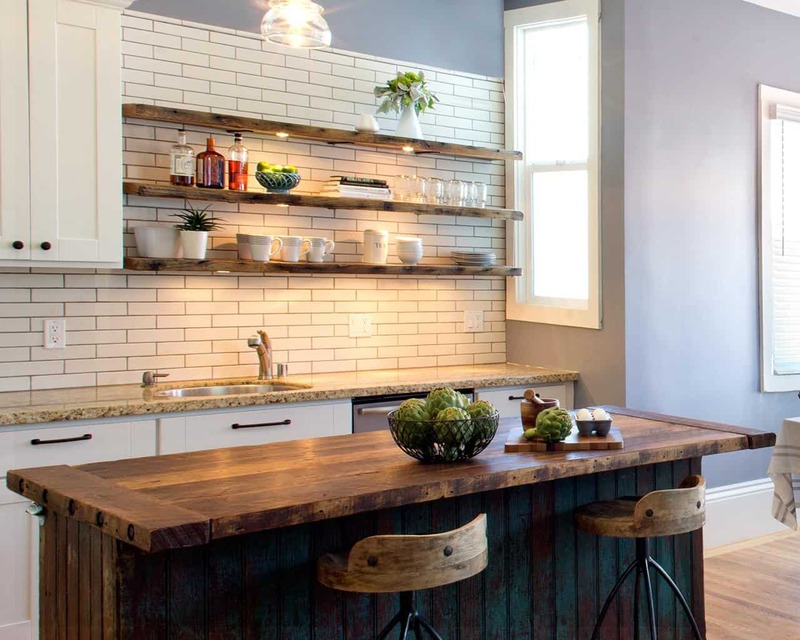 How are you updating your kitchen cabinets? Share with us in the comments below. 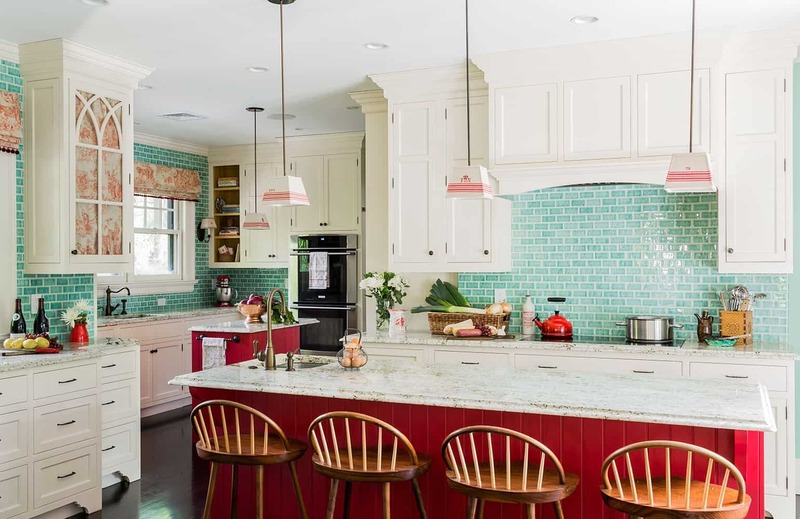 Bright, colorful appliances are quickly making a huge comeback and we are completely here for it! While having a lime green refrigerator might make most cringe or think back to the 60s, these blast from the past are coming in hot. 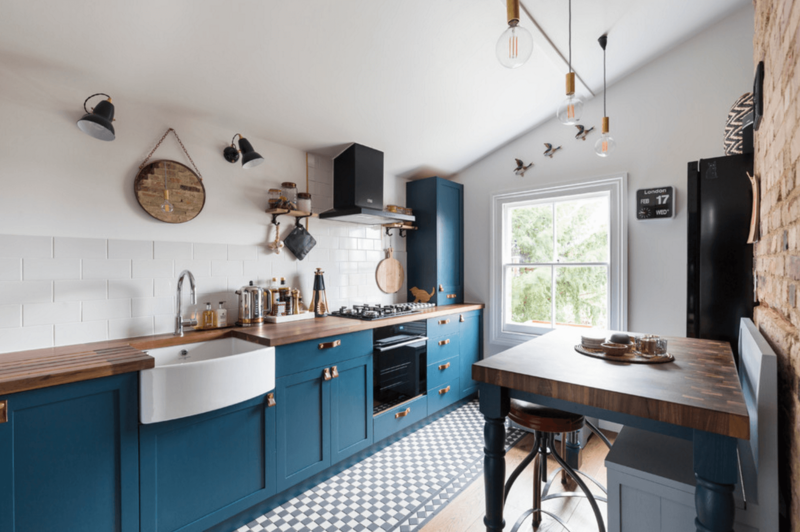 Colorful appliances can easily brighten a darker room or add a modern twist without being overbearing or causing you to completely change up your décor. Plus, there is also the case of having multiple different options. 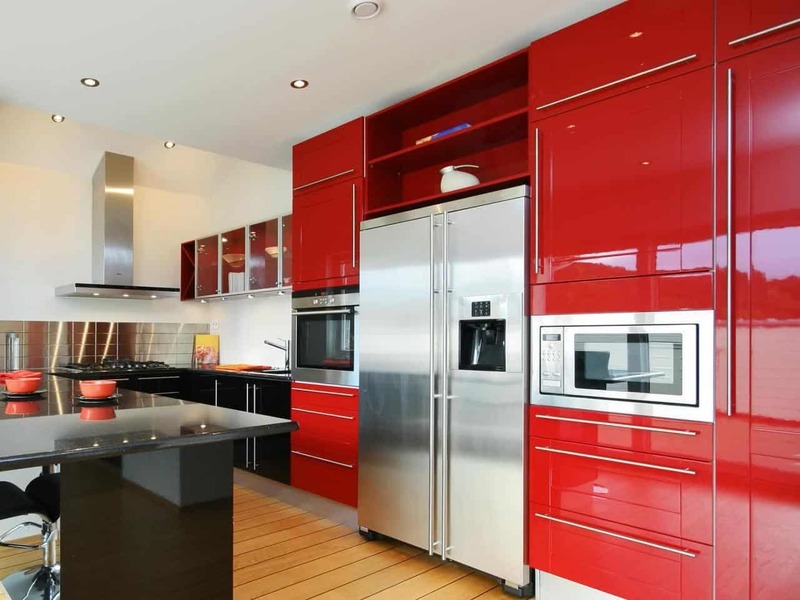 Keeping that in mind, we bring you a guide on how to incorporate colorful appliances the right way. A pastel toaster could give you the color you need without much effort or compromise needed. 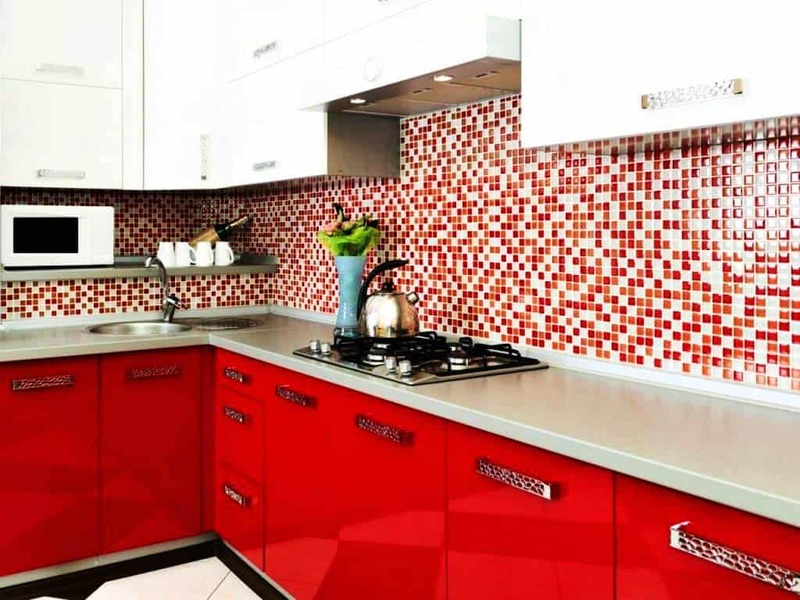 For those that want to add a colorful appliance to the kitchen yet don’t want a complete makeover starting small is the way to go. 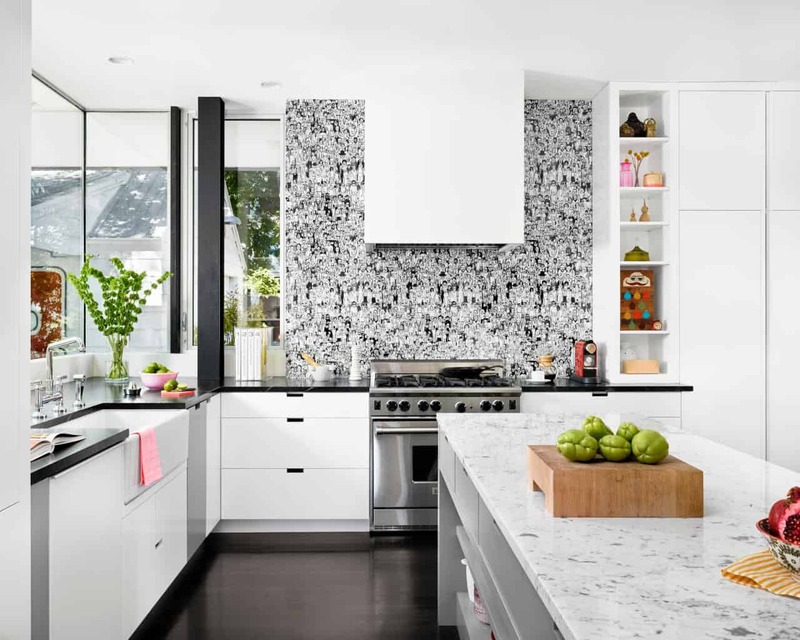 There are plenty of colorful, bold, small kitchen appliances that can make a huge difference in the room with little to no effort. 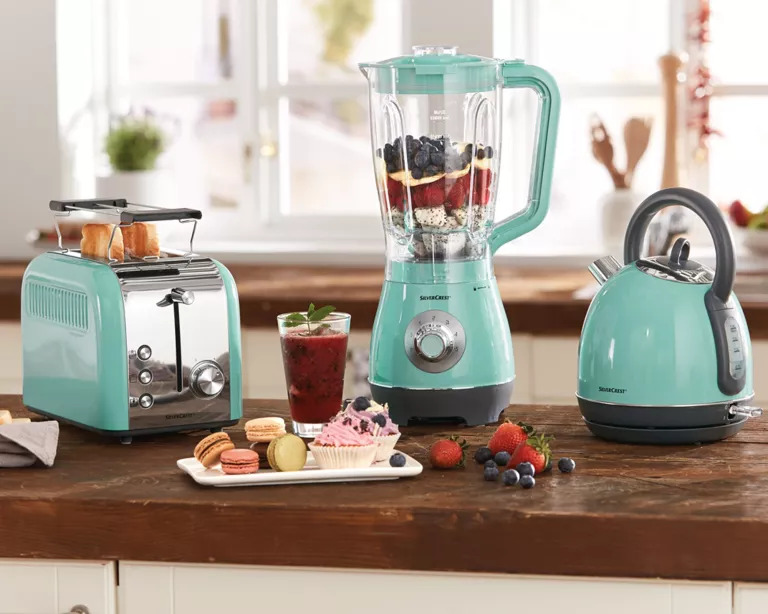 Consider starting with a toaster, a juicer, tea kettle or even a fun blender for a beautiful hint of color. 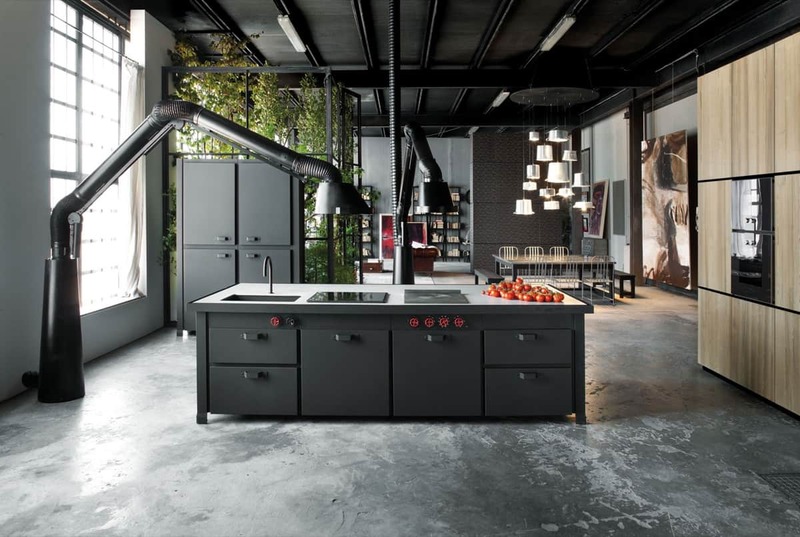 If you had to highlight one appliance in your kitchen we would always suggest your stove, it’s not only the most used appliance but its quite fun to see others react to such a bold statement. 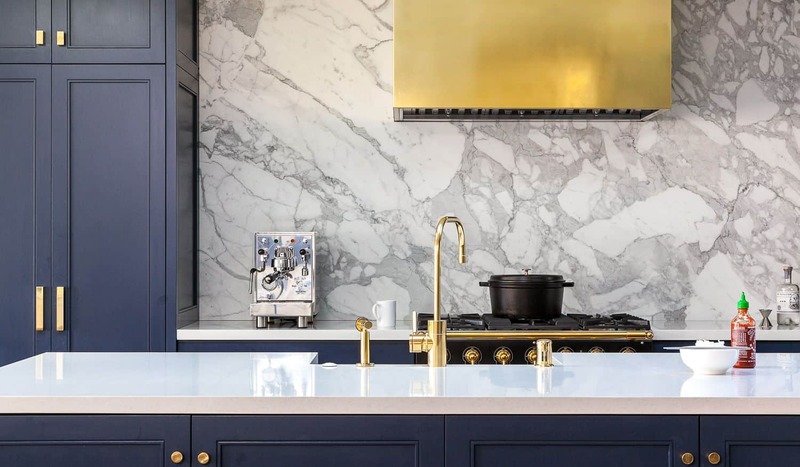 Ever since most of us can remember stoves came in white, black, stainless steel or a metallic hue; however, there is now the option of having a fun colored stove that makes a huge impact in the area. 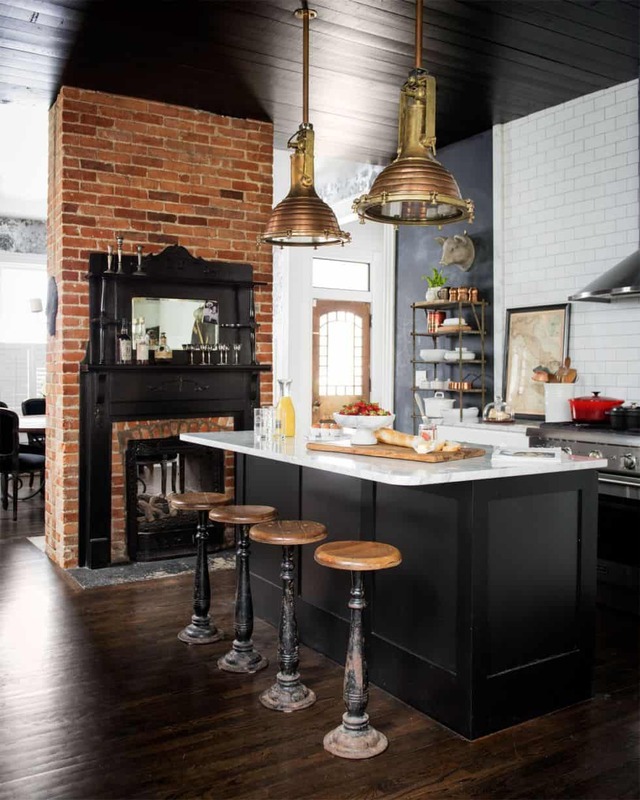 You might want to consider a seasonal color or a hue that will seamlessly function with your current décor as a colorful stove is more of a permanent fixture. A mellow yellow hue is perfect when you want a refreshing touch without taking away from your decor, its also a great way to get color in while having simple decor. 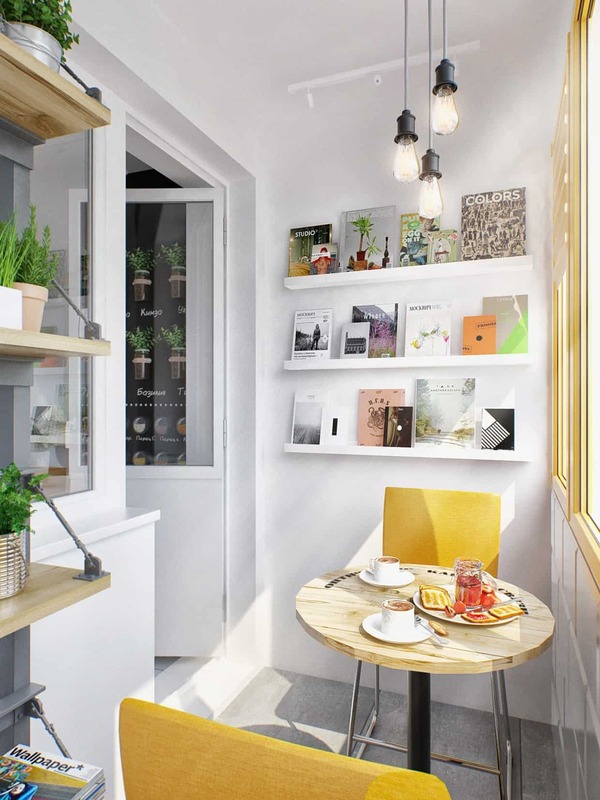 In case you missed a post or two yellow was a huge color this year, from appearing on red carpets to being considered top-notch in interior designing. 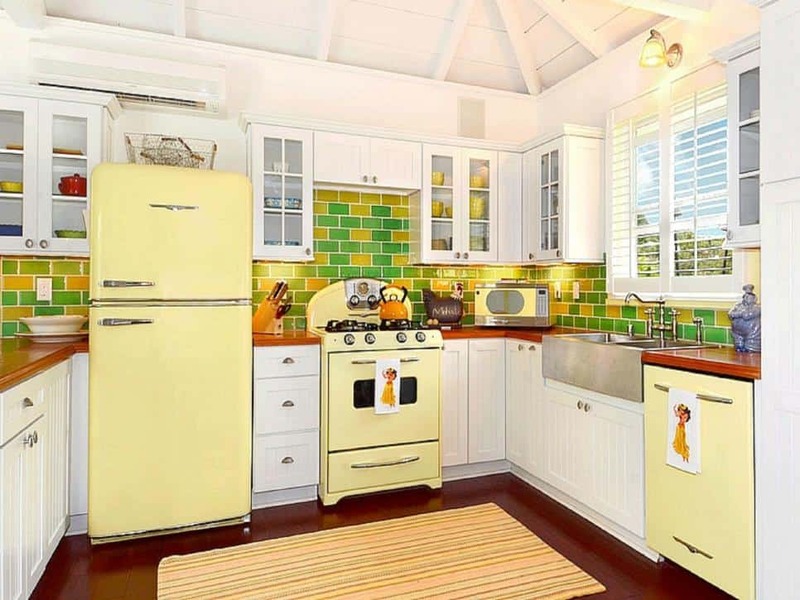 Keeping that in mind, we love the idea of softer yellow appliances. A mellow yellow hue works because its light enough to work all-year-round yet works seamlessly with any other pieces that you might have. 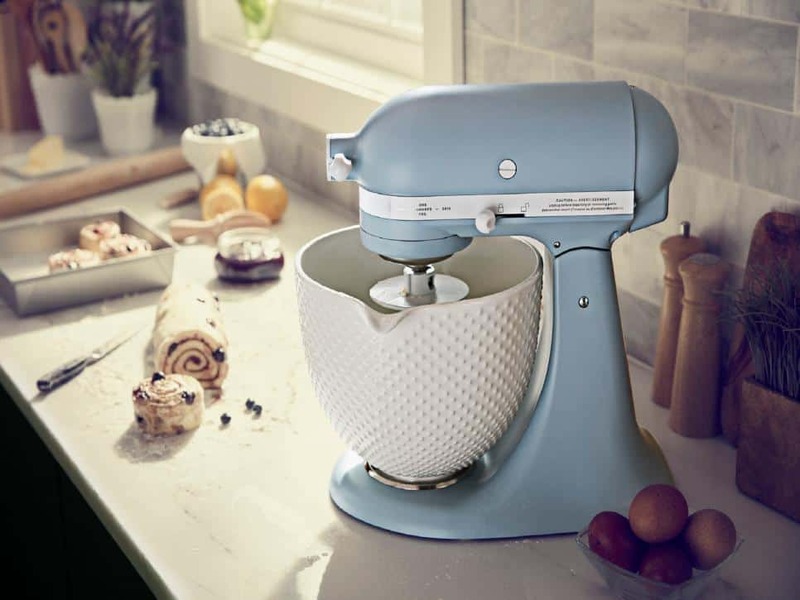 A colorful stand mixer is perfect for adding color as it has a naturally retro feel, this works exceptionally well when you display your stand mixer as part of your kitchen. Another option for those that want to add color in a non-permanent manner- a colored stand mixer. Stand mixers have been around for approximately 100 years or so, which means they have come a long way since they were first made, yet they continue to be used for most things in the world. Therefore, if you already love your stand mixer its might be time to upgrade to a more colorful version. Want to take your hood to the next level? 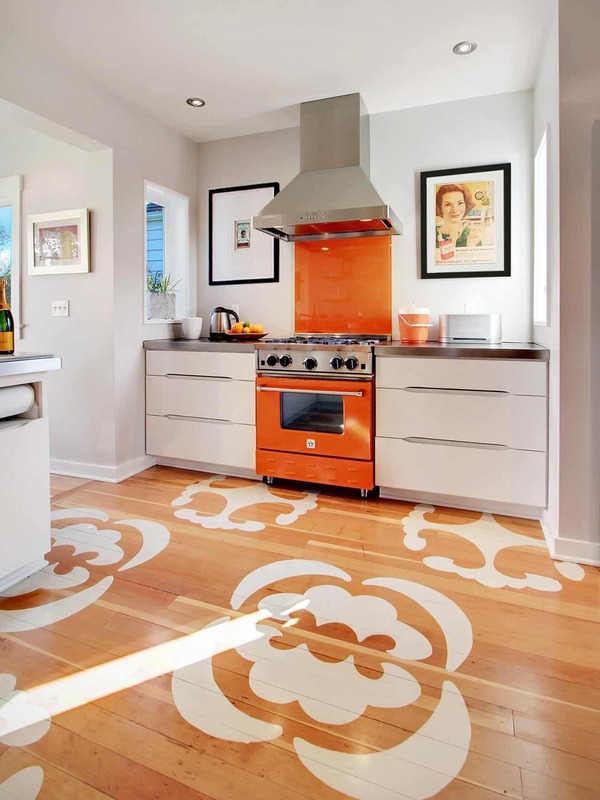 Change it for a colorful and match it to your stove for the perfect pairing of colors. 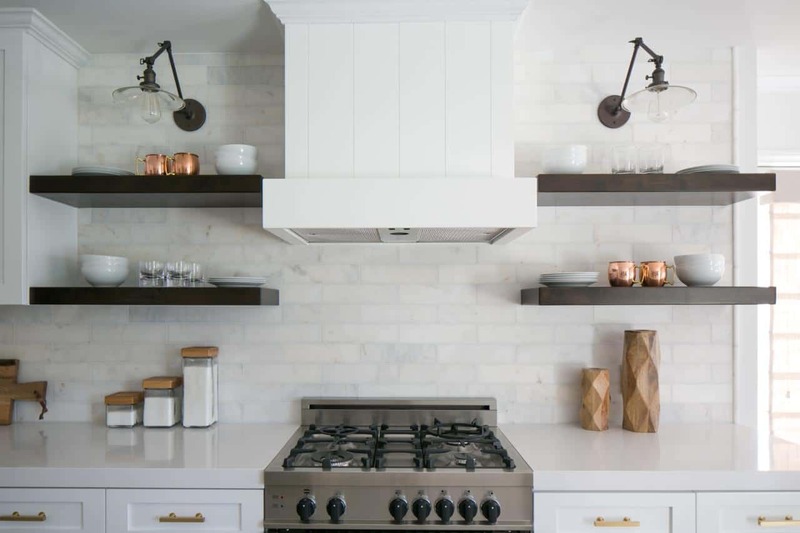 We love a good kitchen hood, its one of those classic staples in a kitchen. Furthermore, they are quite versatile which is fantastic when you want to add color. Change up your hood by adding a colorful one that brings a bold texture on its every own. 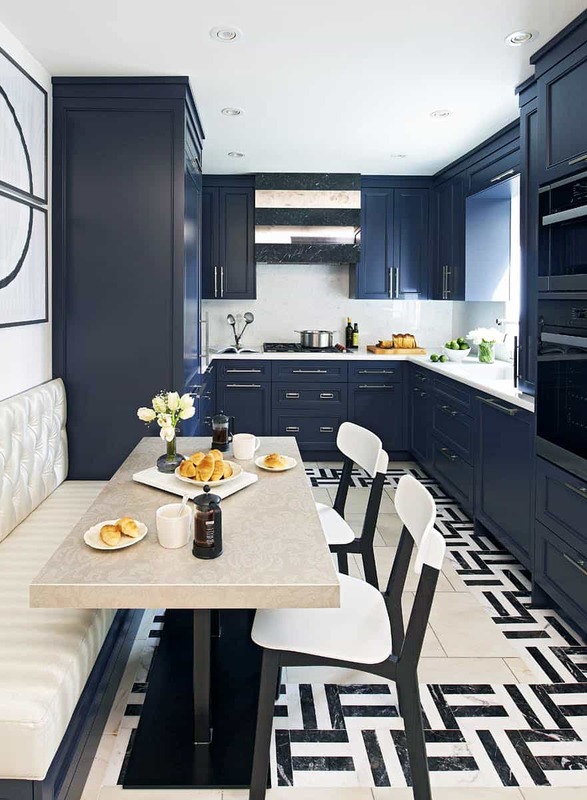 Robin blue offers the perfect blend of retro blue while still being chic and modern all at once. 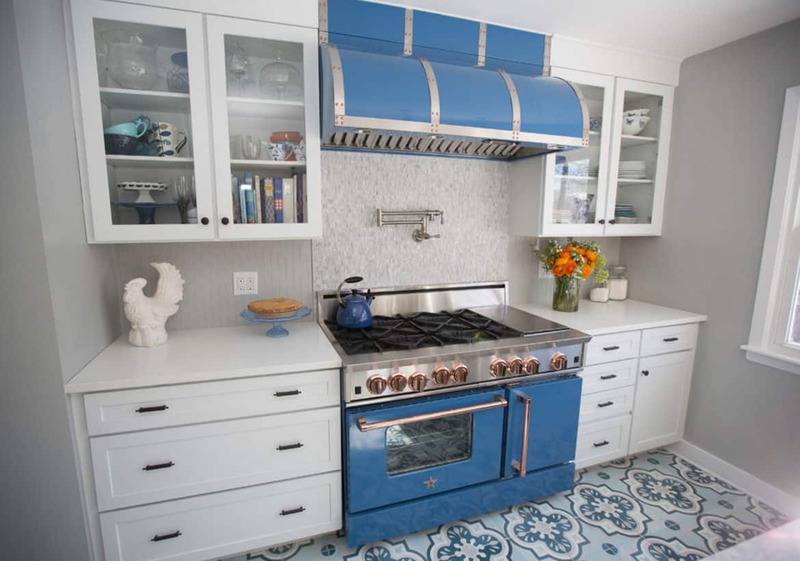 As previously stated, colorful appliances are a thing from the past but since their comeback, we are loving the idea of adding a retro flair to your kitchen with robin blue appliances. 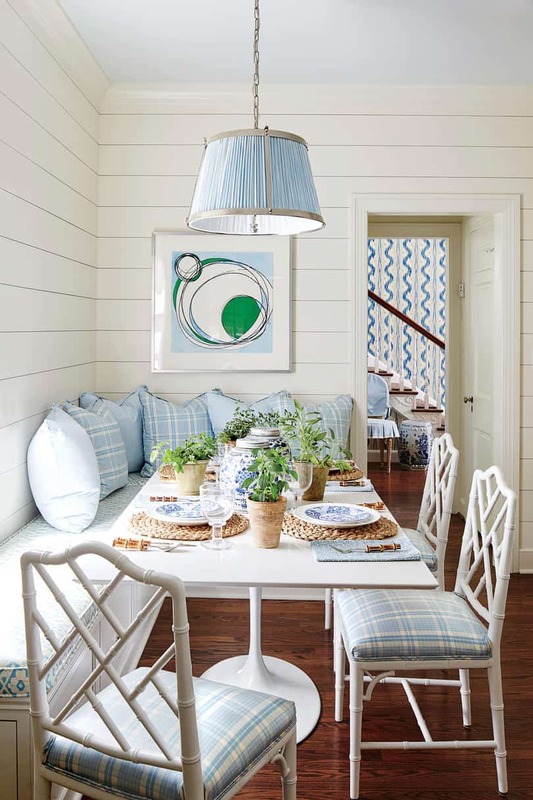 Robin blue is not a popular color; therefore, it’s not the easiest to find yet it makes a huge impact when it is paired with other neutral bits. 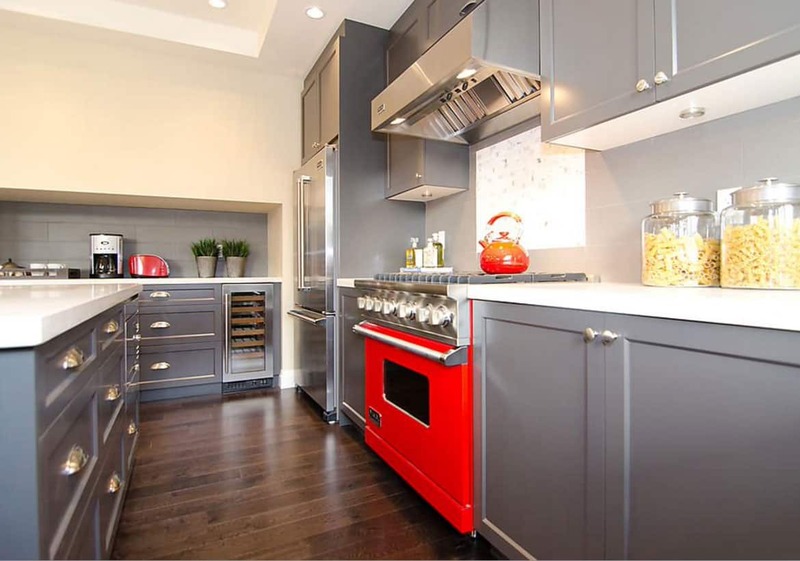 The key to having two appliances in bold hues that work in a room is having them in the same color. Having them in the same color expands the room all at the same time. 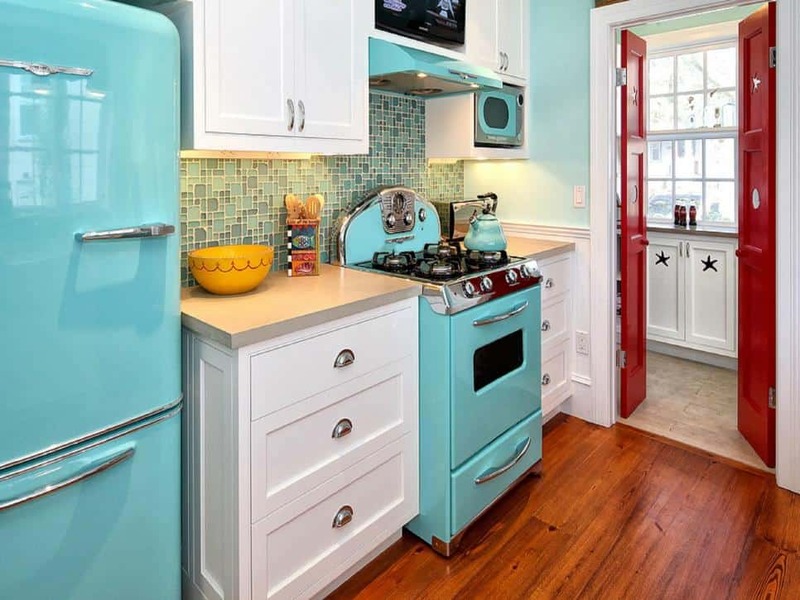 While having one colorful appliance is a cute idea having a pair of color appliances is a grand idea. Why have one when you can have multiple? 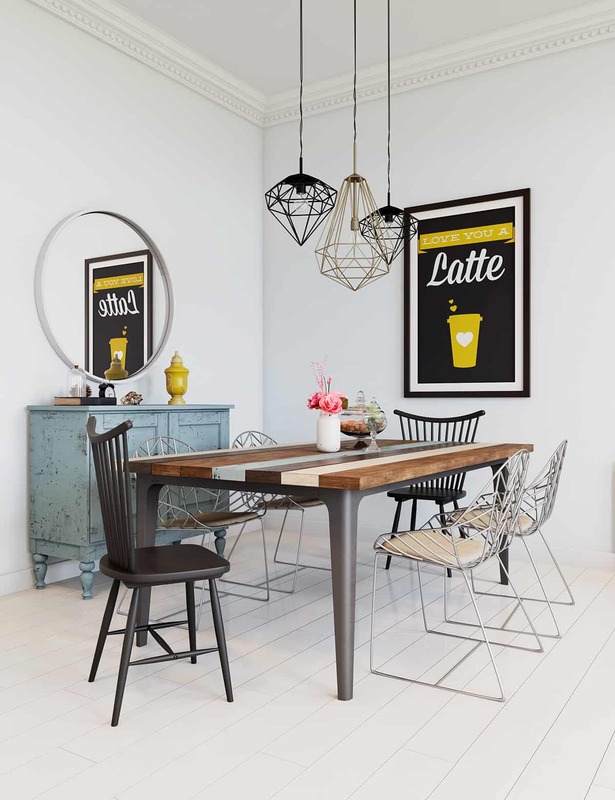 Add two to brighten up the room seamlessly and in a few and creative manner. 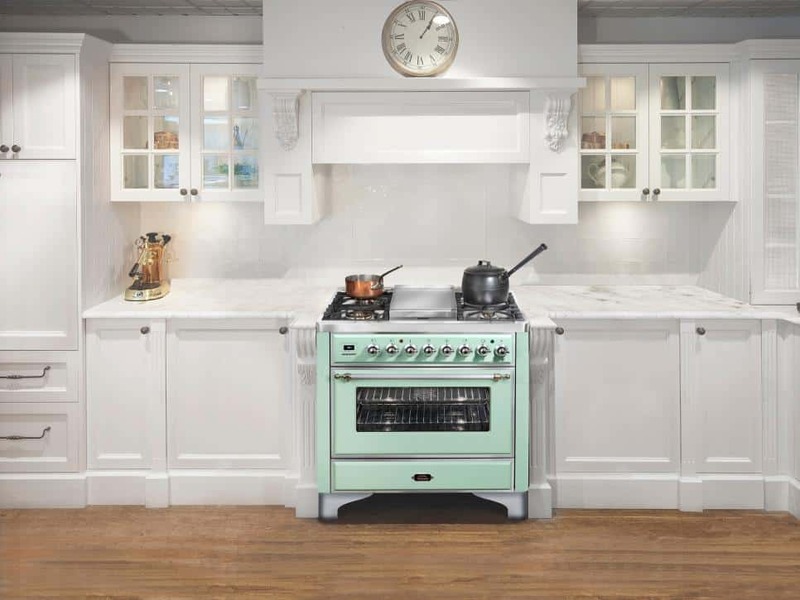 No matter how against the idea of having colorful appliances a pastel stove is sure to change your mind. There’s just something unique about it that makes you want to fall in love with the idea. Maybe bright colors aren’t for you so you’re a bit worried about trying the trend if that is the case pastels are here to save the day! They are the perfect blend of color without overpowering the room in any way shape or form, simply adding the perfect blend of color. 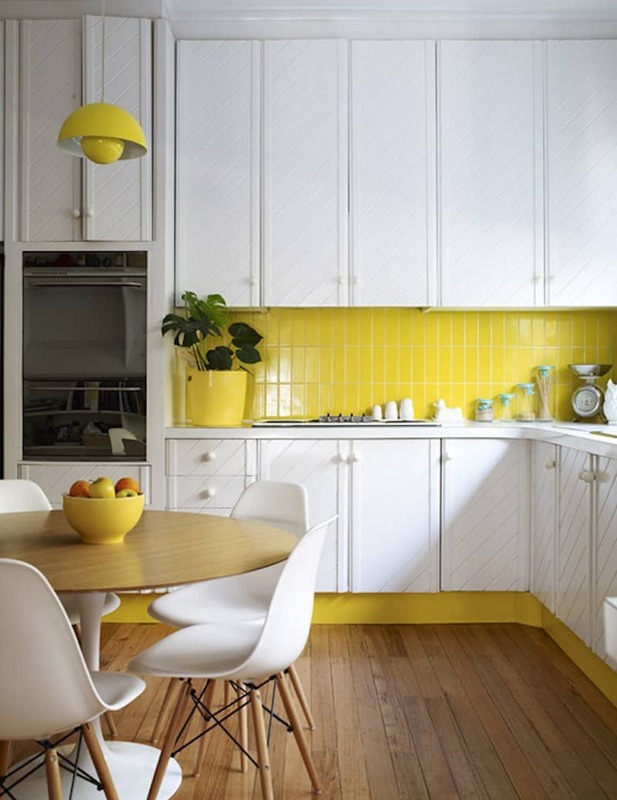 Citron is a daring bold color; therefore, you want to make it the main statement of the overall room. 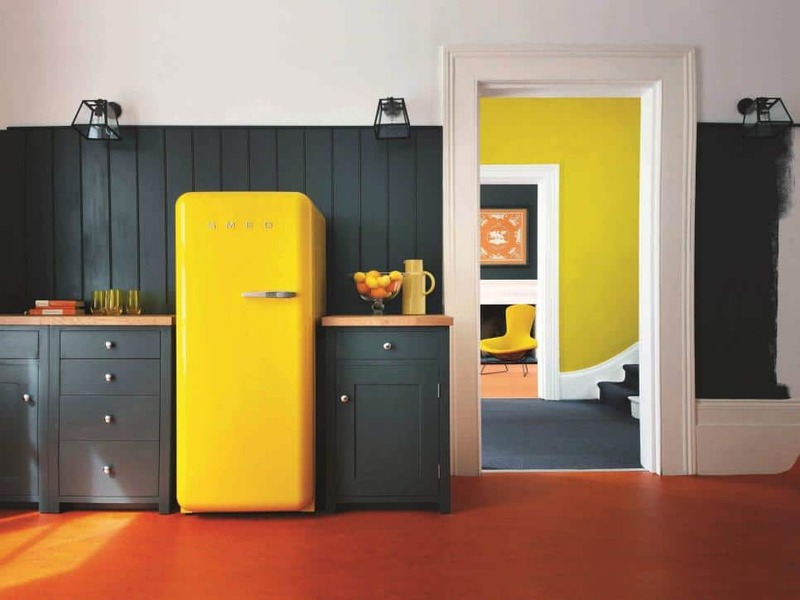 If you’re like us and love color and the idea of having colorful appliances, then adding a citron refrigerator is perfect! 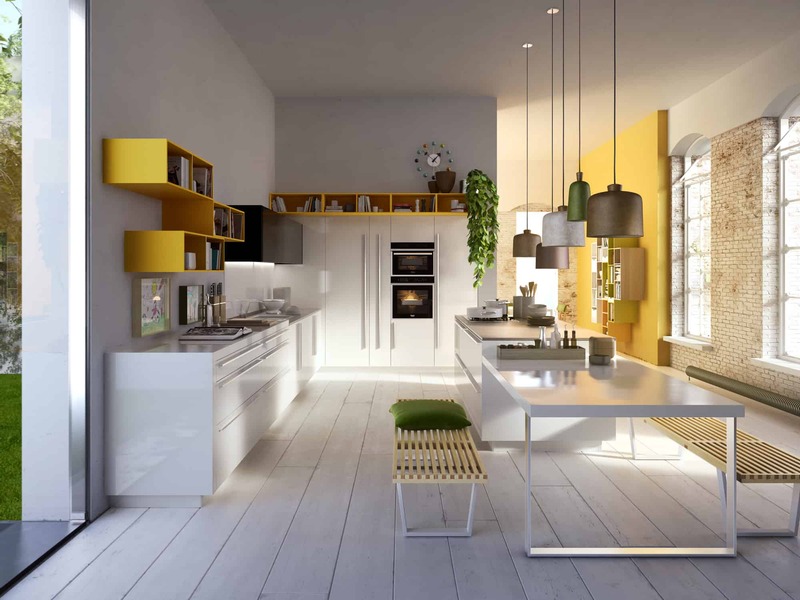 Citron is just the perfect bold addition to your kitchen, its daring, it’s captivating and its unique in its own right. 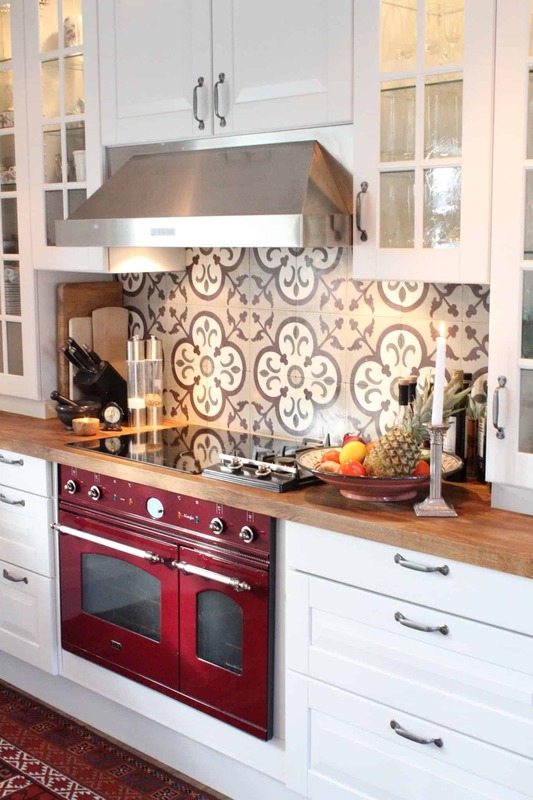 Burgundy stoves are our personal favorites due to how much richness they bring to any appeal in the room. 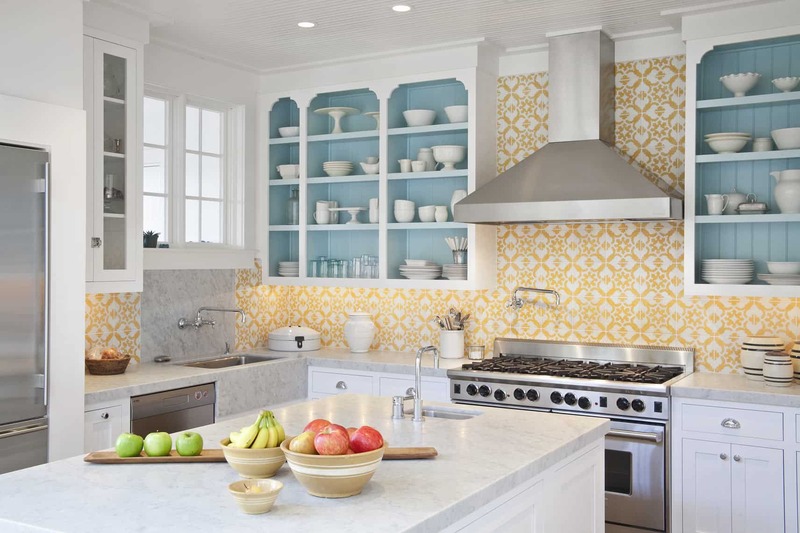 To conclude this guide, we have one simple question to as you- Are you ready to incorporate colorful appliances? Please share with us your ideas below. 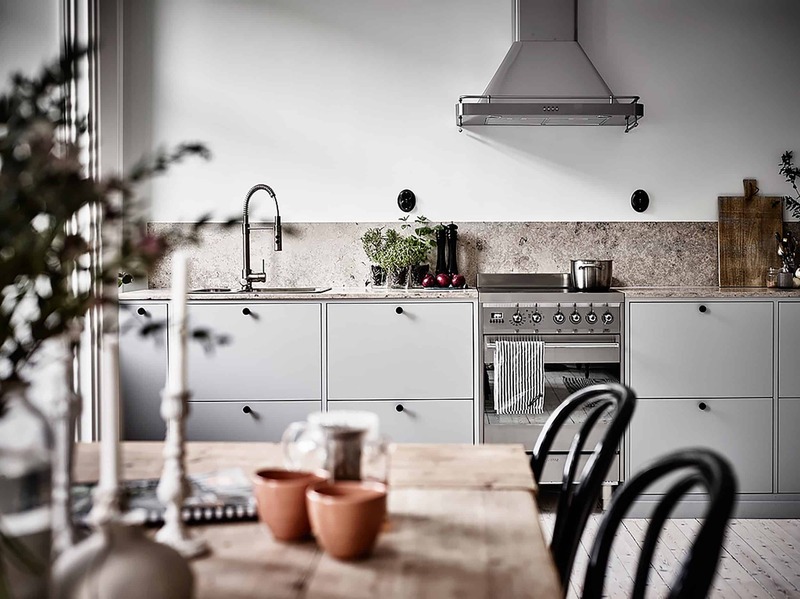 http://europeancompany.com/wp-content/uploads/2018/12/robin-blue-kitchen.jpeg 725 966 euro.admin http://europeancompany.com/wp-content/uploads/2018/05/European-Logo-updated-1.png euro.admin2018-12-13 17:12:092018-12-13 17:12:09Are You Ready To Incorporate Colorful Appliances?